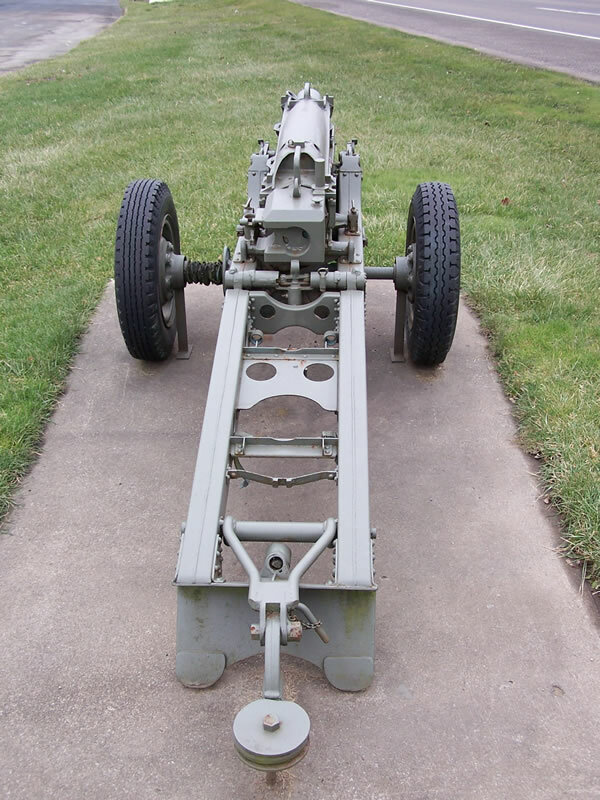 The 75mm pack howitzer was a versatile artillery piece. 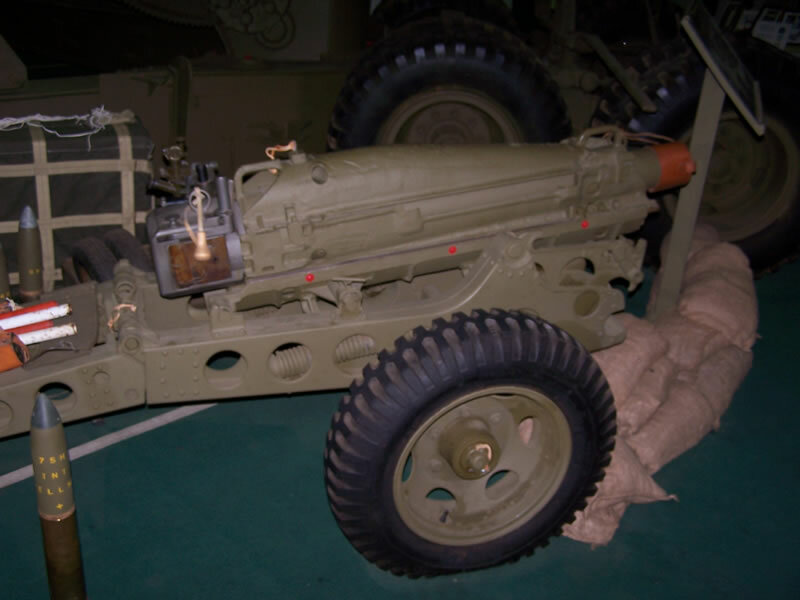 It came in three versions, the most common one seen here, the M8 (Airborne). 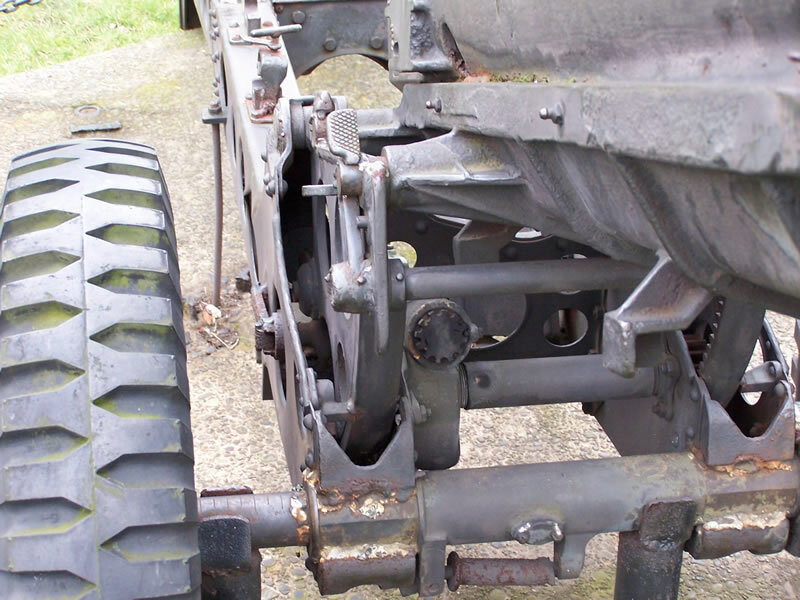 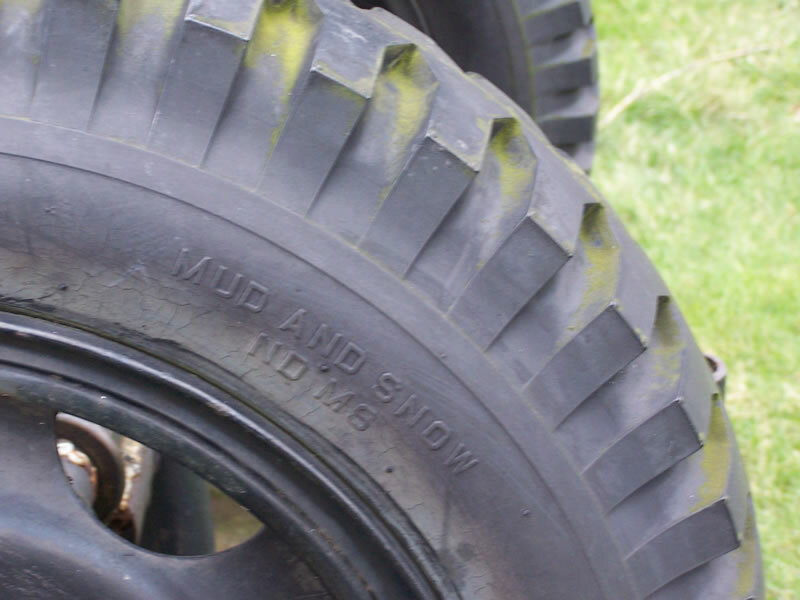 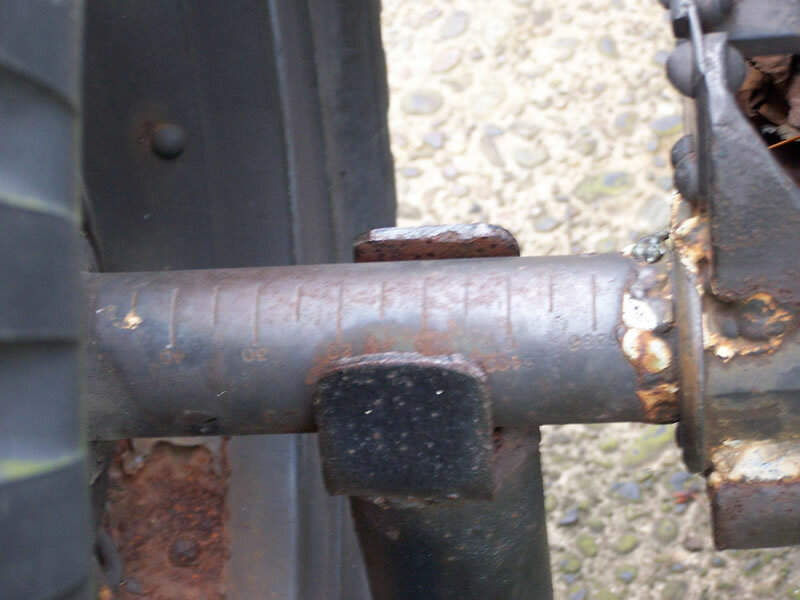 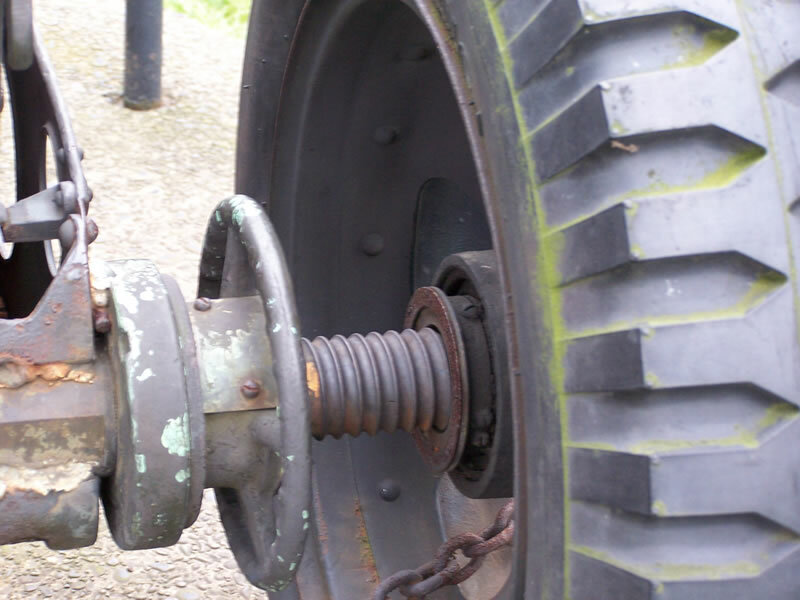 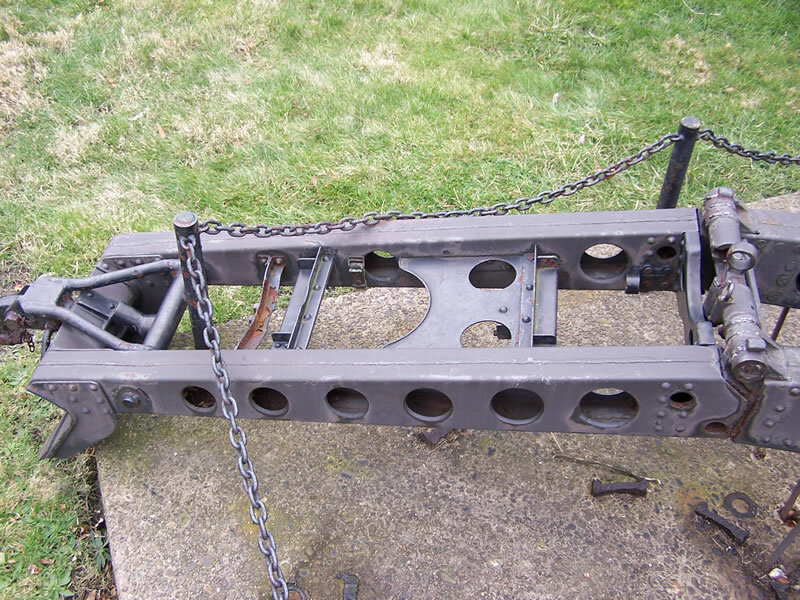 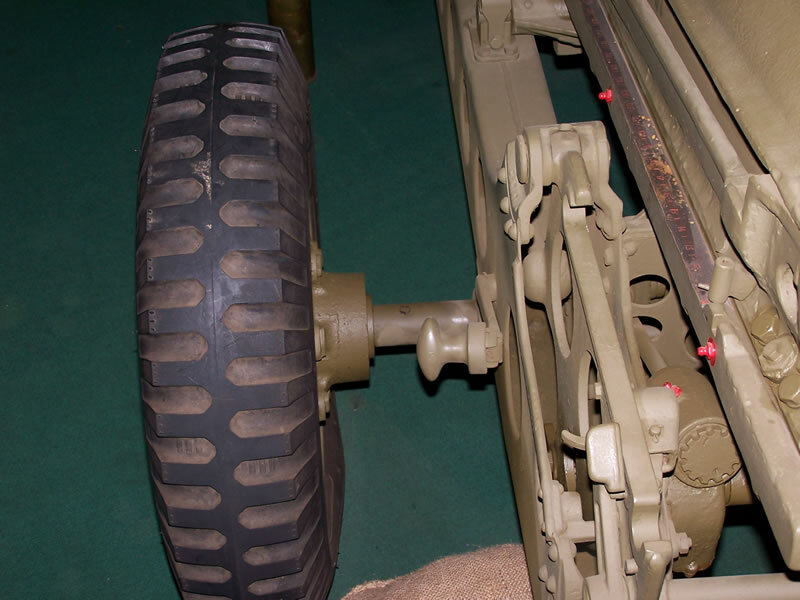 The pre-war vintage M1 had a "box trail" and wooden wheels and was design to be pulled by a cavalry horse or the artillery crew over friendly ground. 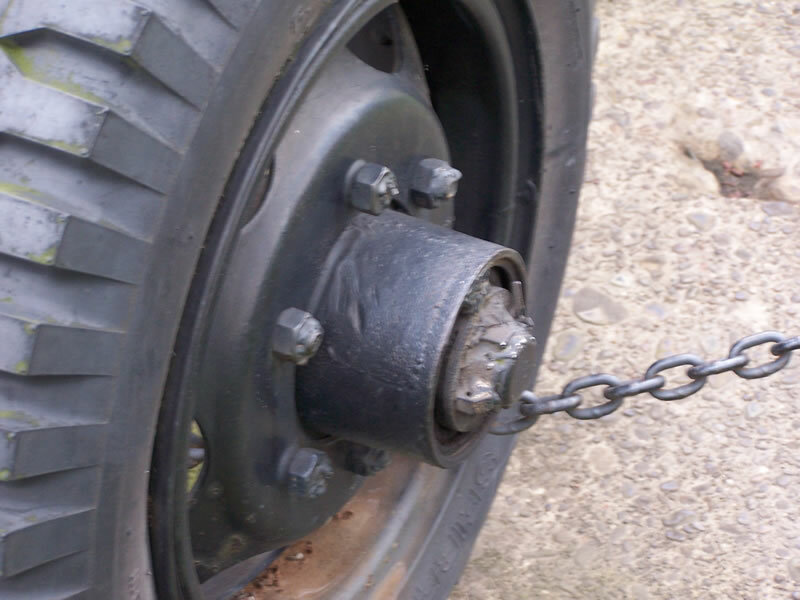 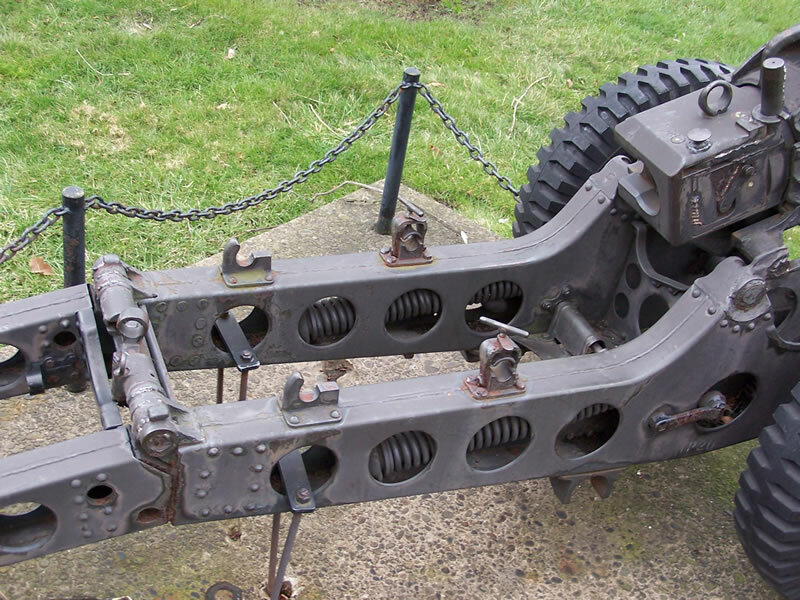 Or, it could be broken down to be packed onto six mules for moving in rough terrain, as in the Pacific and China-Burma-India theaters and mountainous Itay. 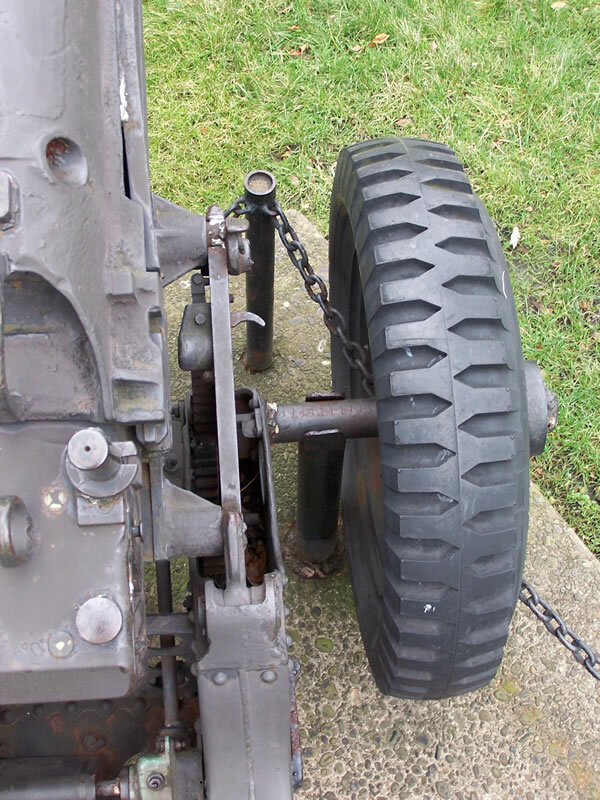 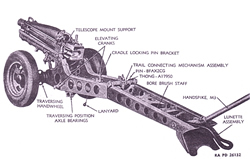 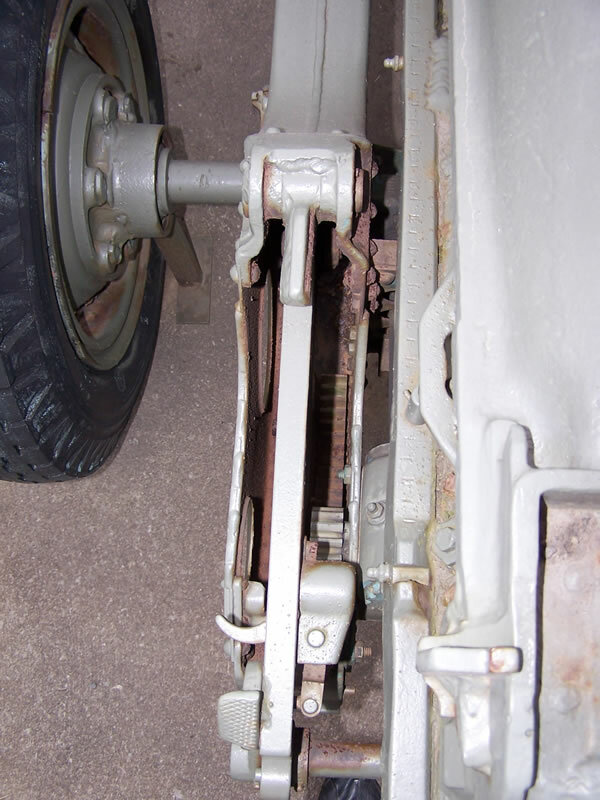 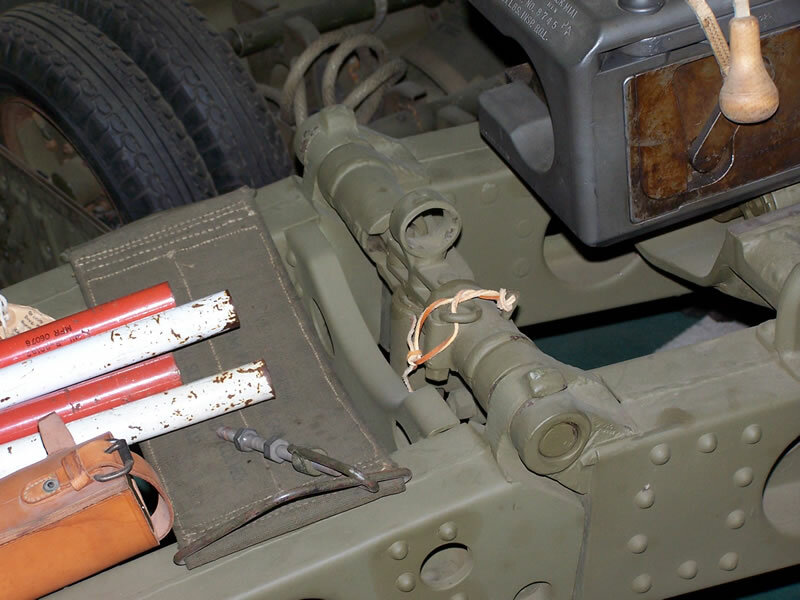 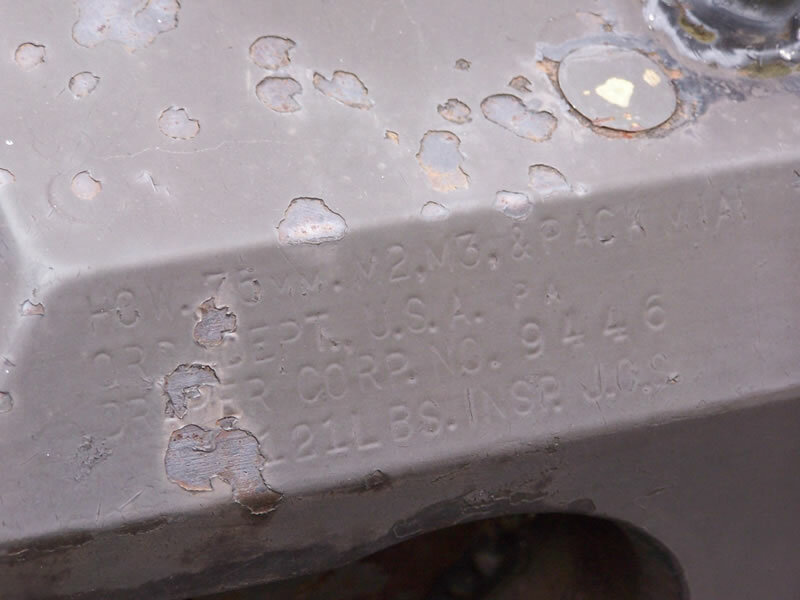 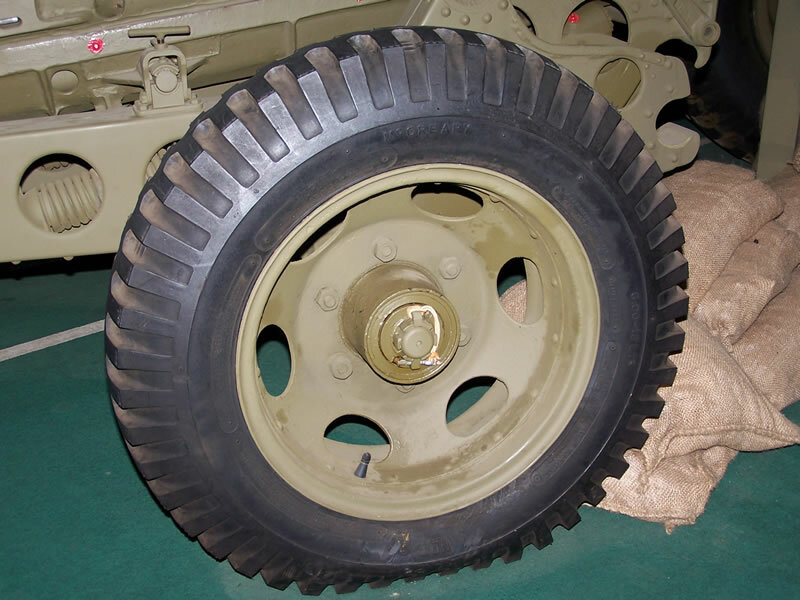 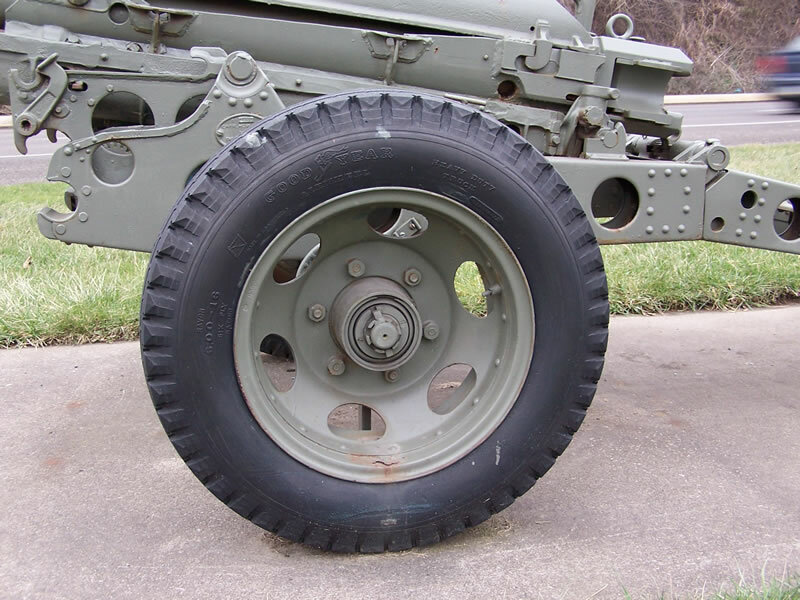 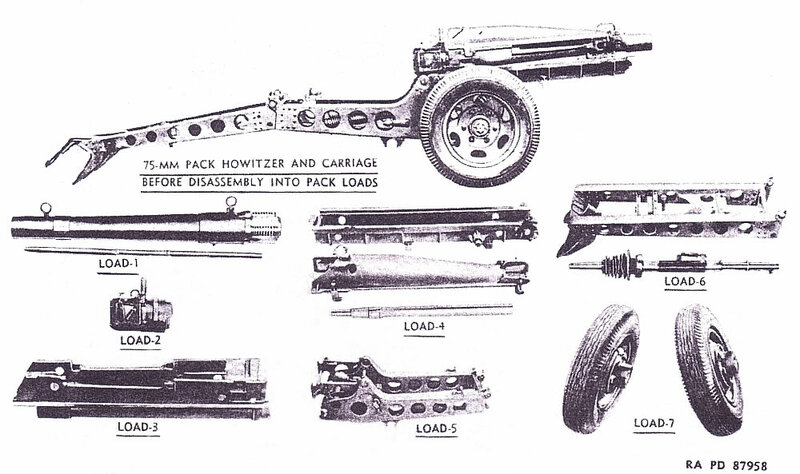 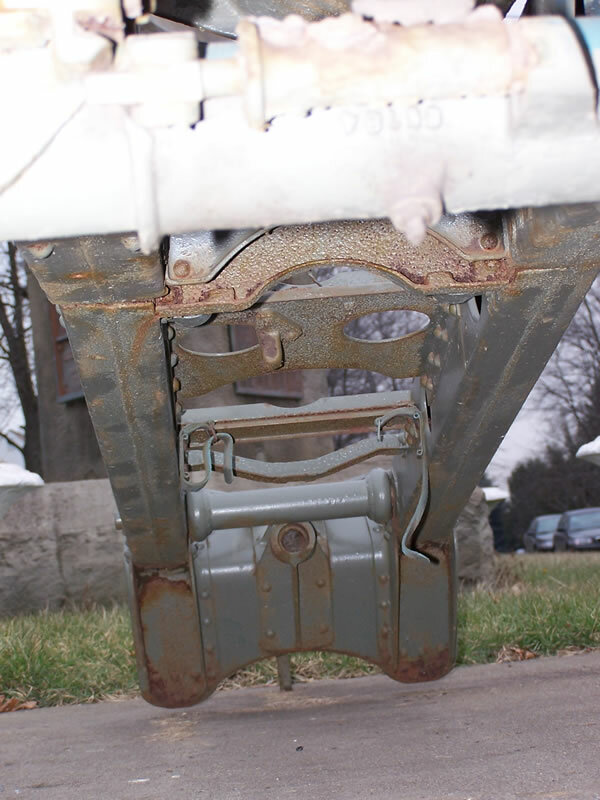 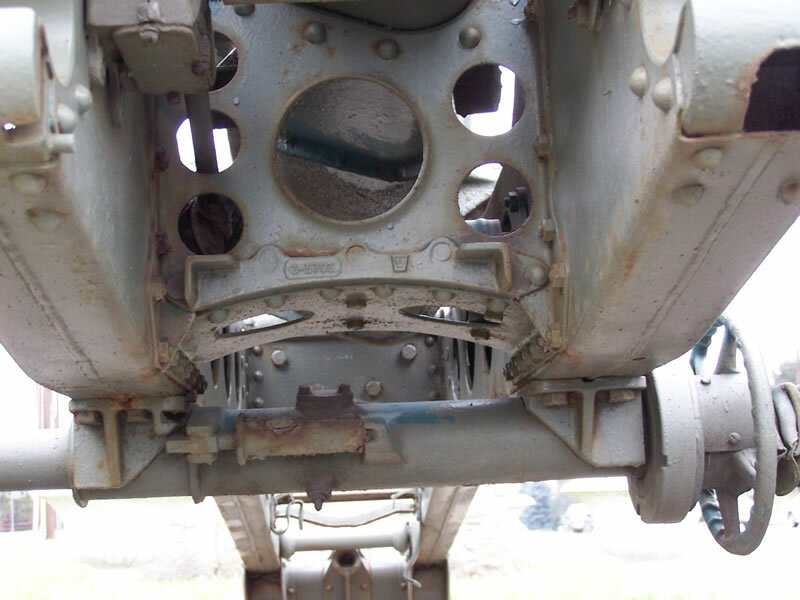 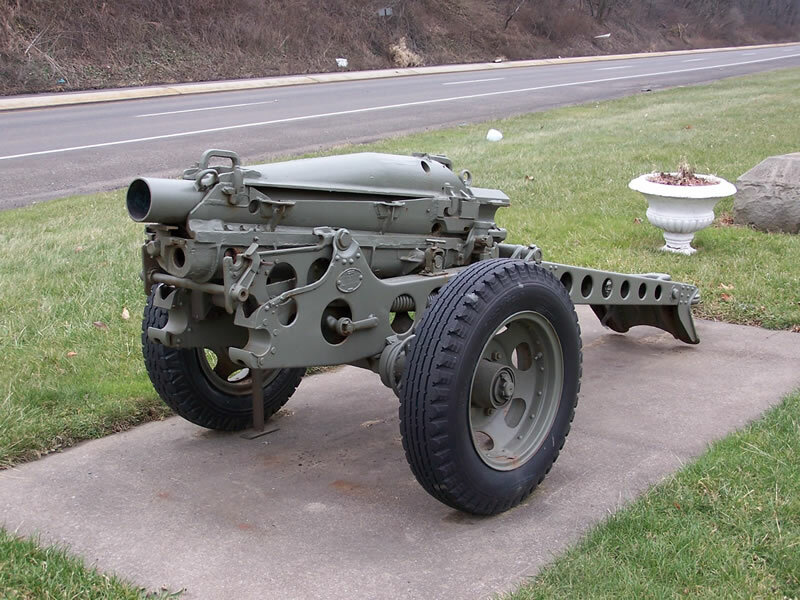 The M8 (Airborne) was the M1 box trail design with rubber wheels for jeep transport. 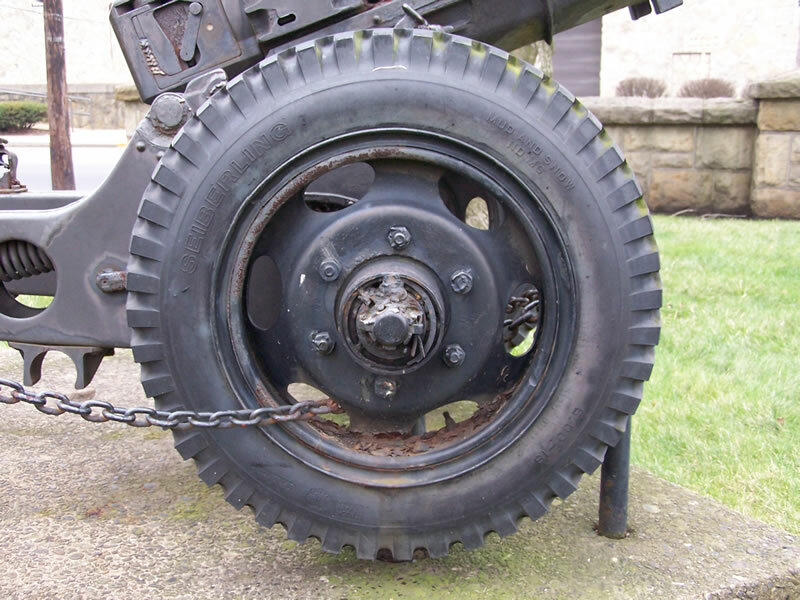 It could be apportioned into seven "paracrates" and dropped from the skies with paratroopers, or come in on glider and transport planes. 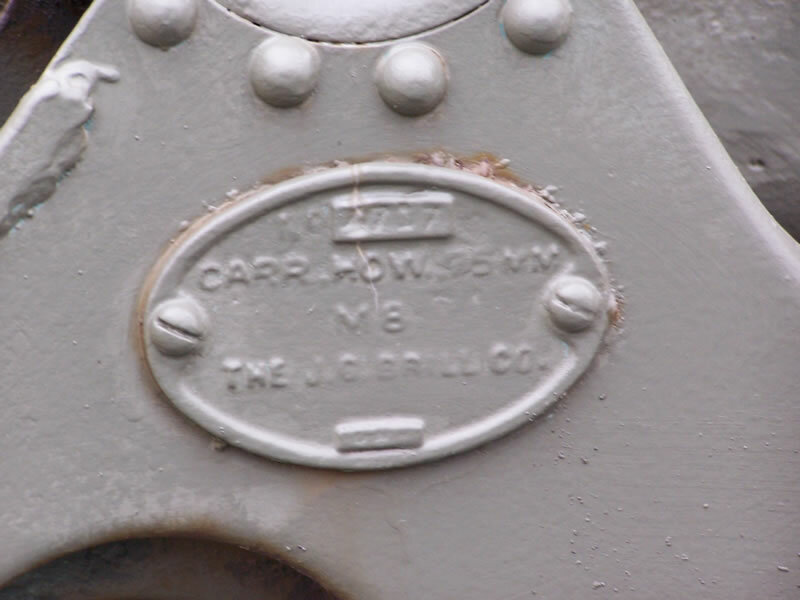 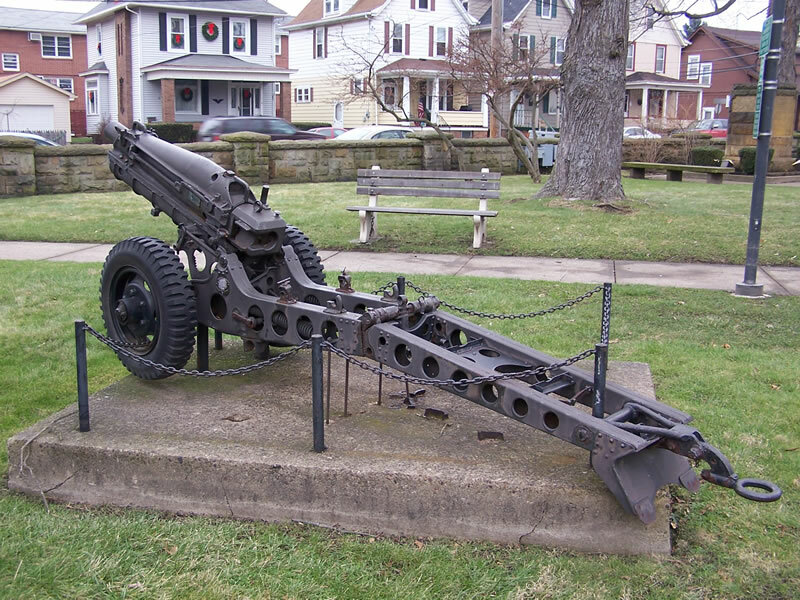 It weighed 1,339 pounds, had a range of 9,600 yards, and the crew of four could manage a prolonged rate of fire of three rounds per minute. 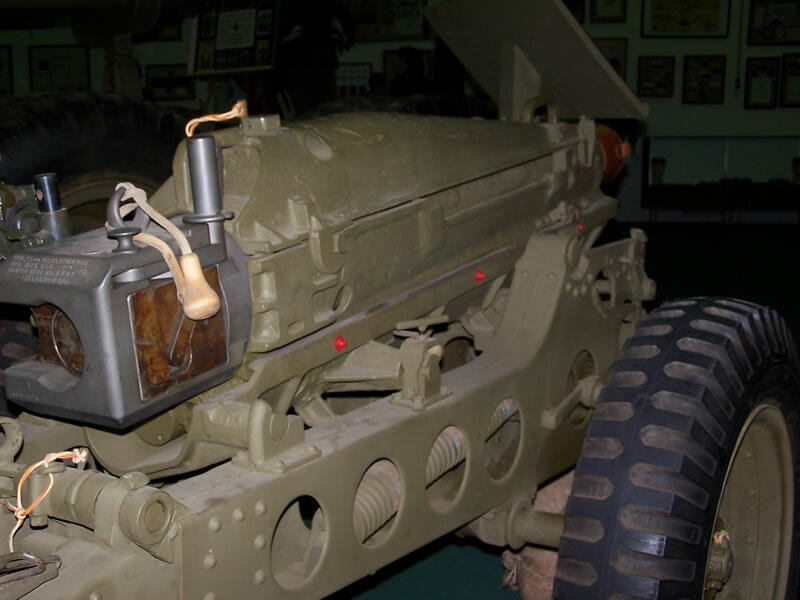 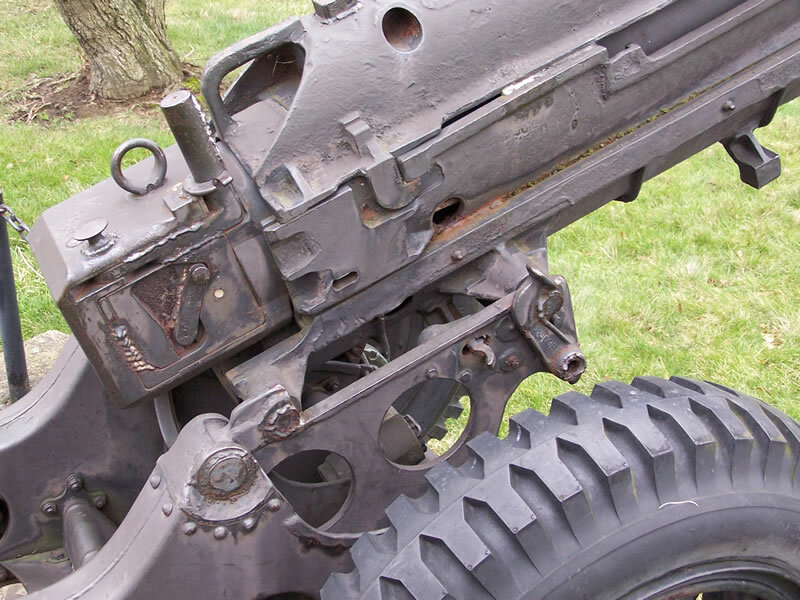 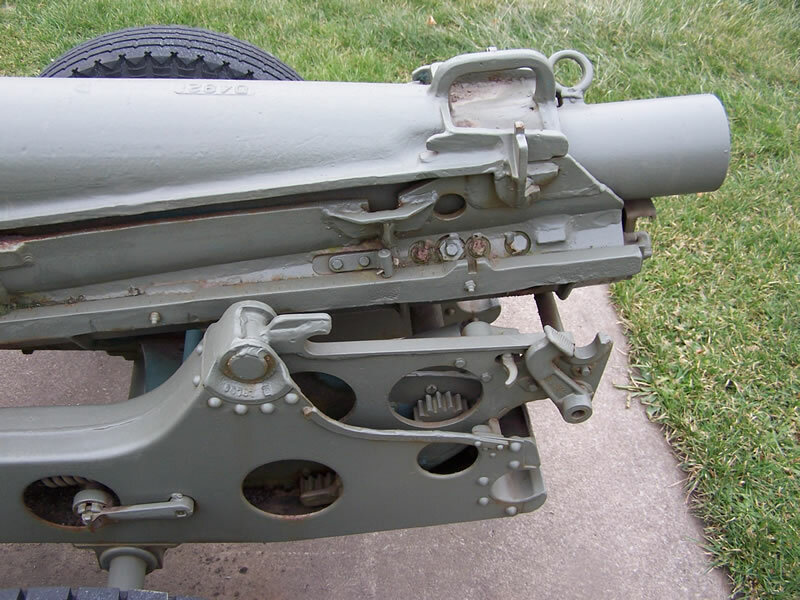 They were phased out at the end of WWII, replaced by the 57mm and 75mm recoilless rifles. 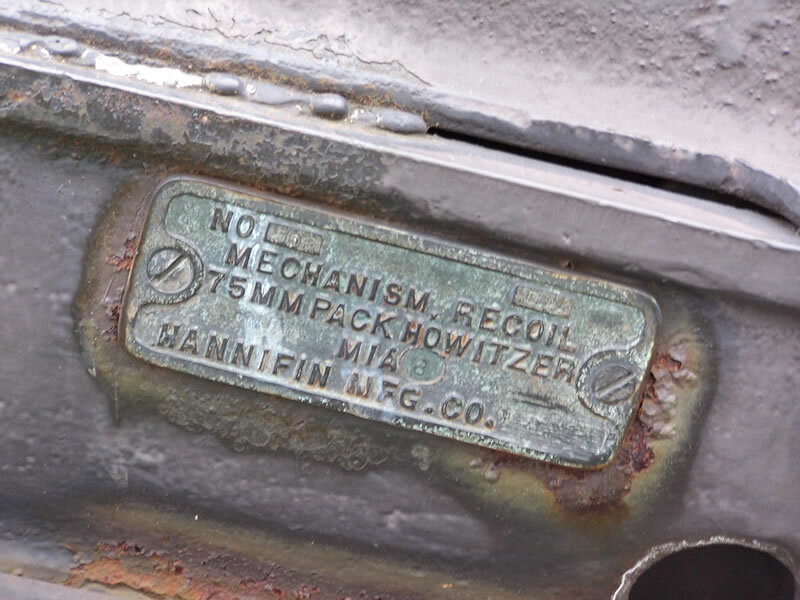 In the early 1980s, Tamiya produced a 24-piece white metal kit of the M8 that could be built in travel or firing modes, but it's been out of production for some time. 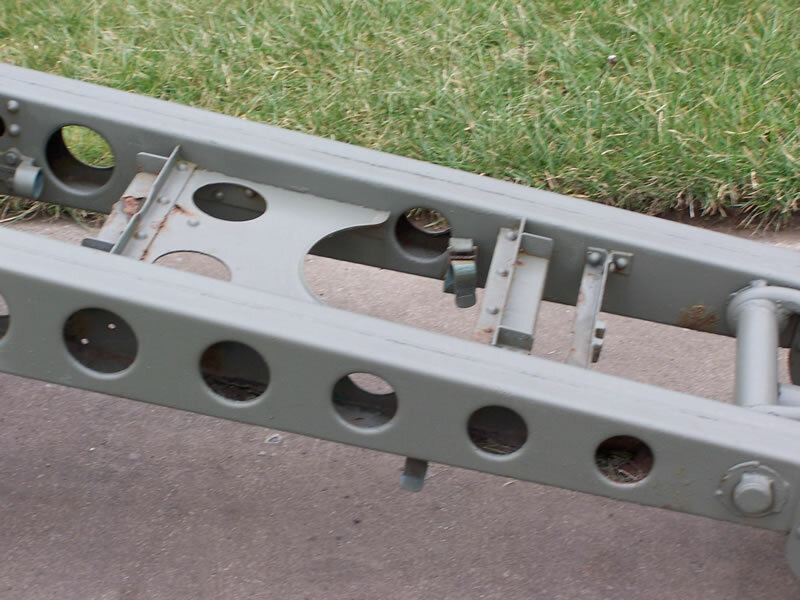 Ted Dyer makes resin versions of all three types, and S-Model offers the M8 in resin. 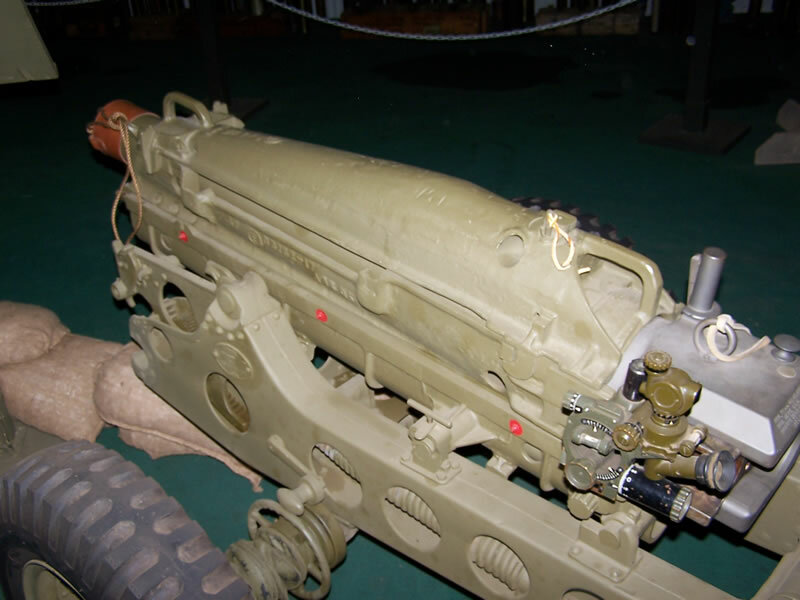 In 2007, Resicast released their own resin rendition of an M8. 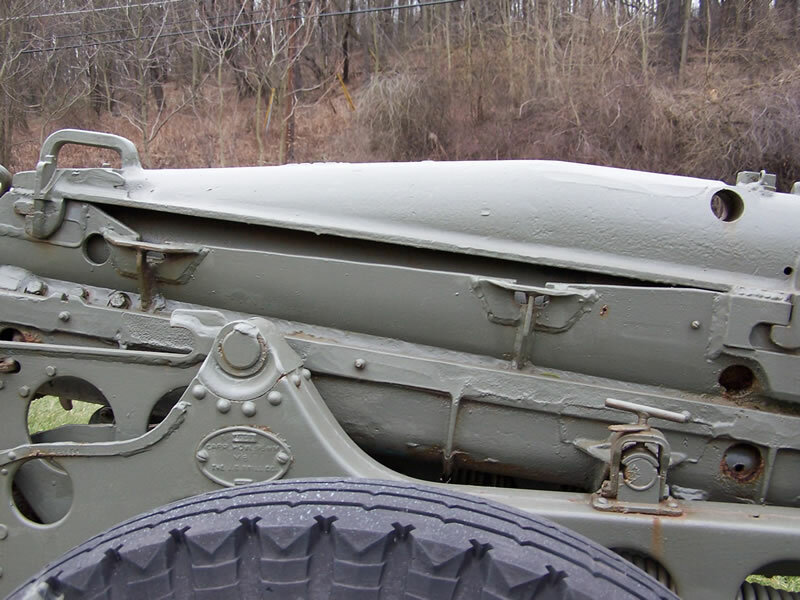 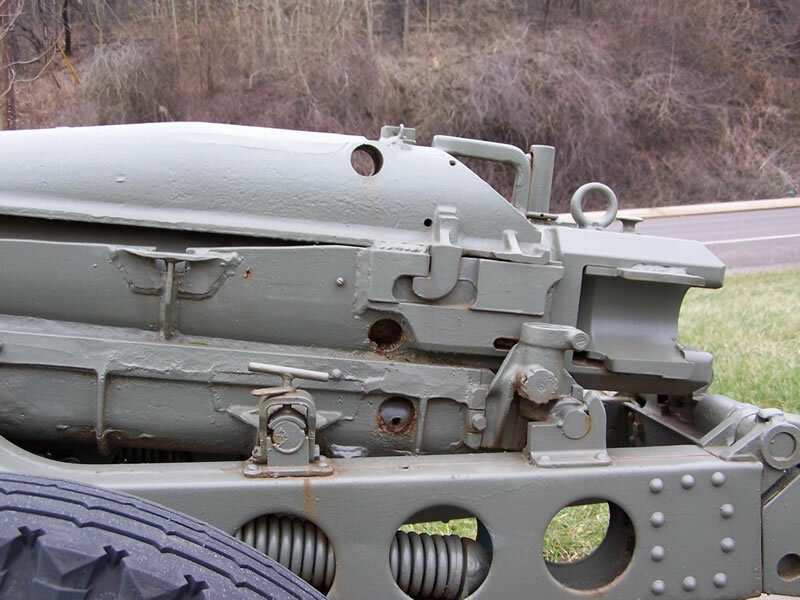 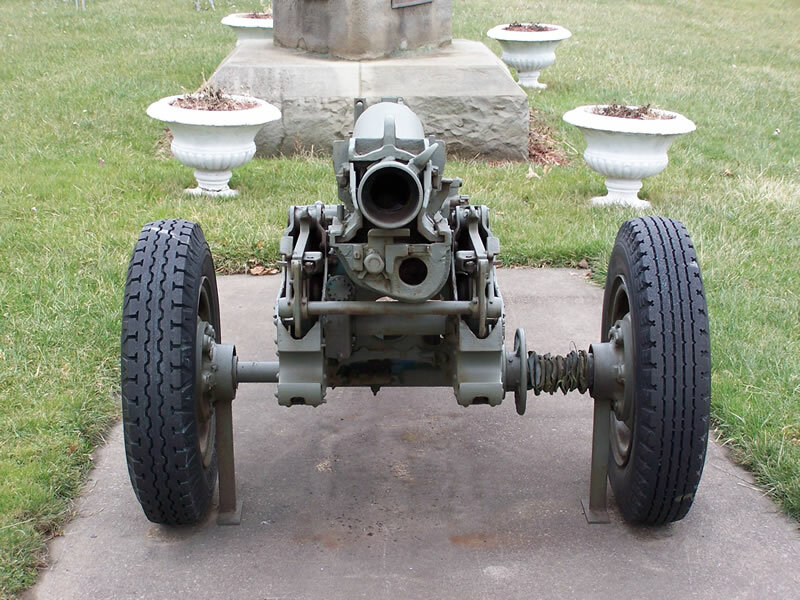 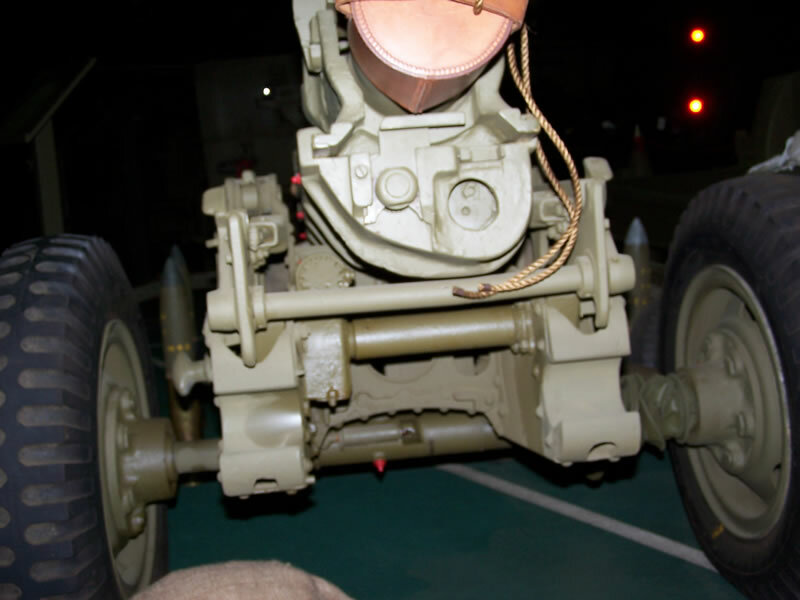 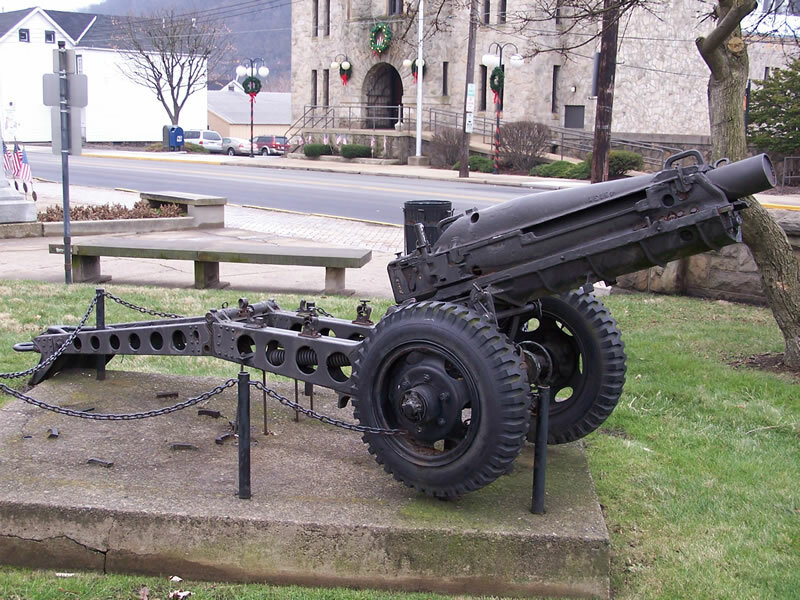 This M8 howitzer, photographed in Koppel, PA, by Kurt Laughlin, is a well-preserved specimen with its business end retracted for travel mode. 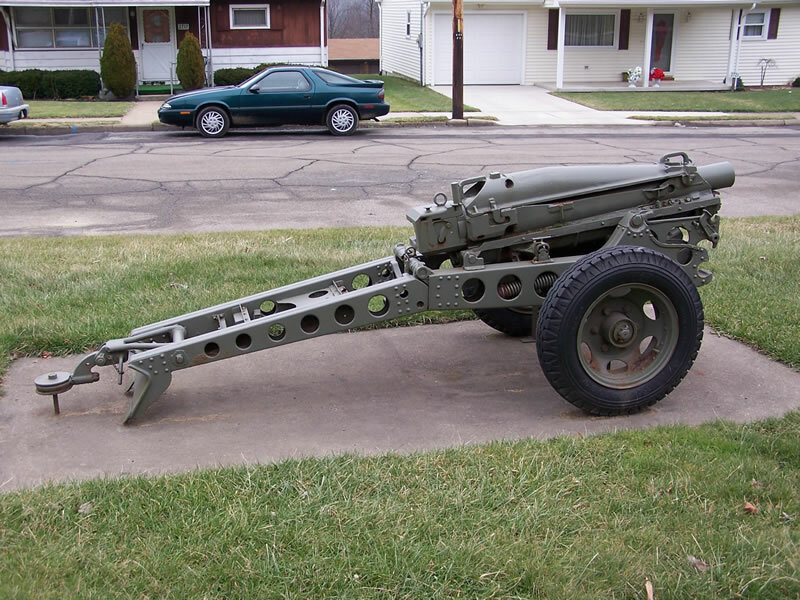 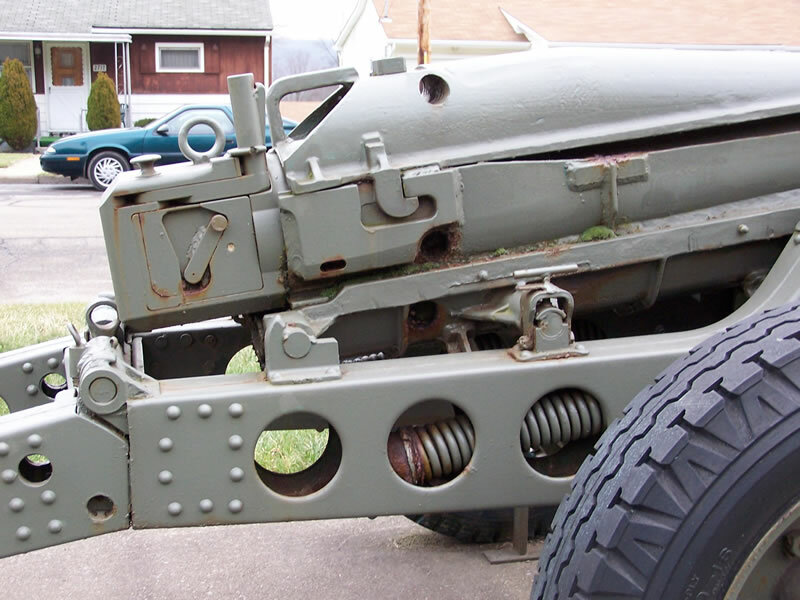 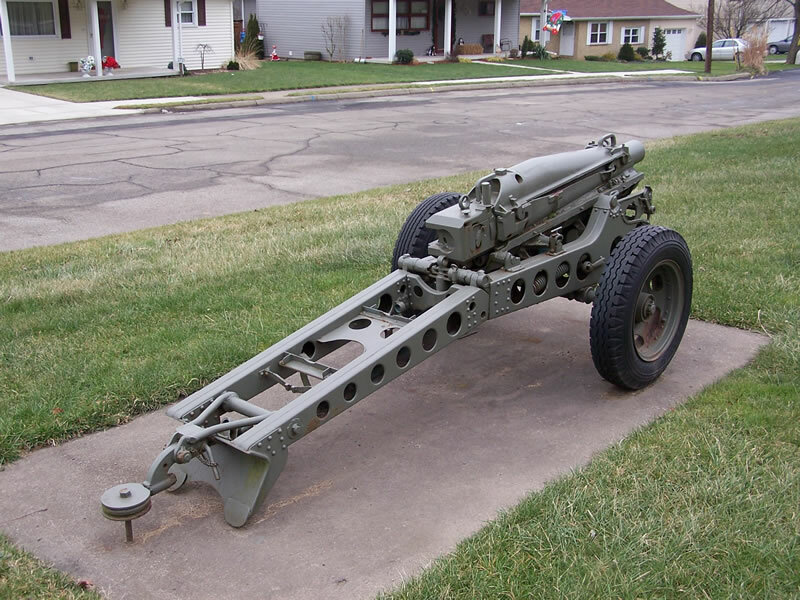 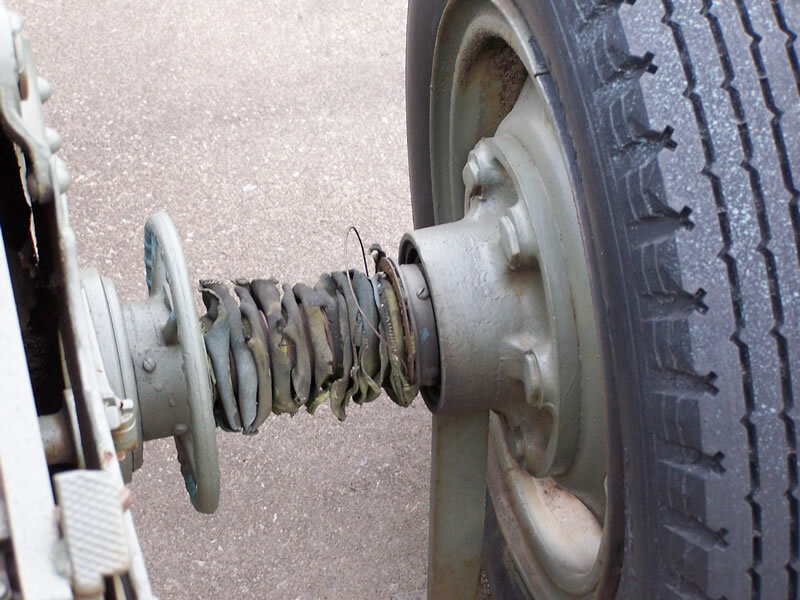 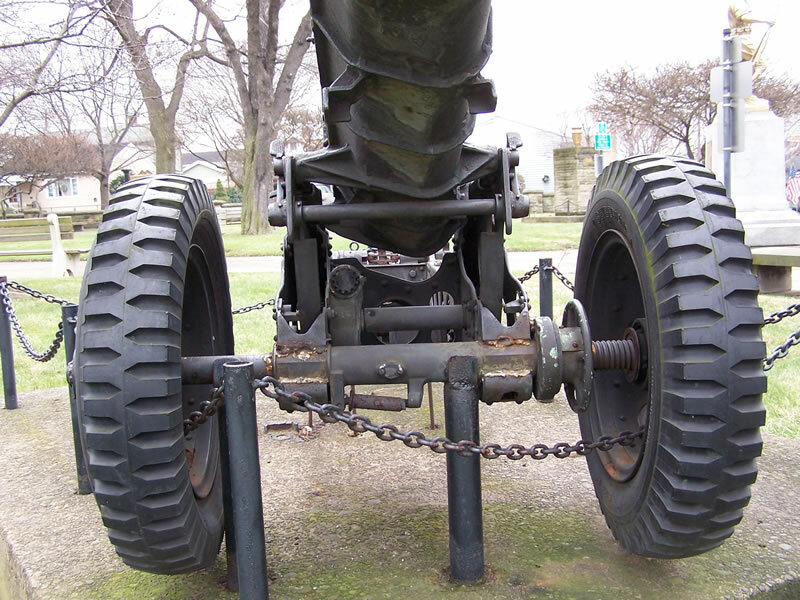 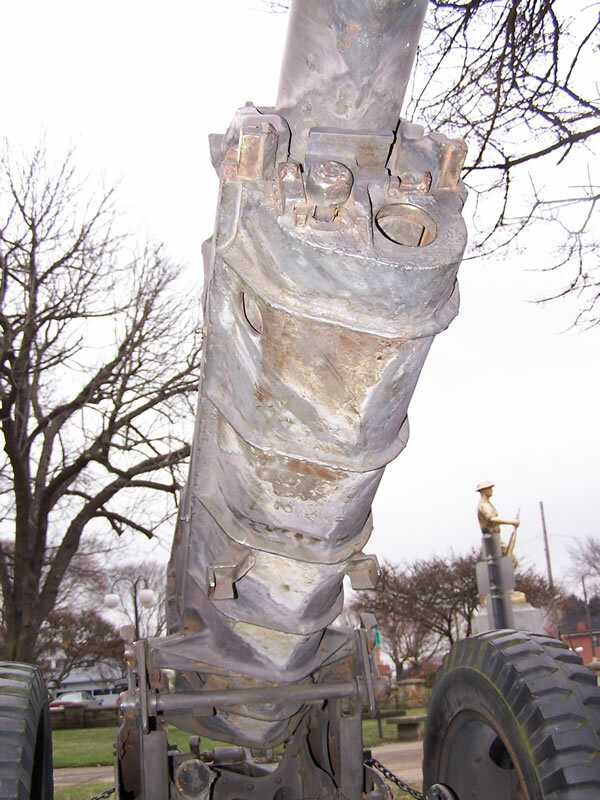 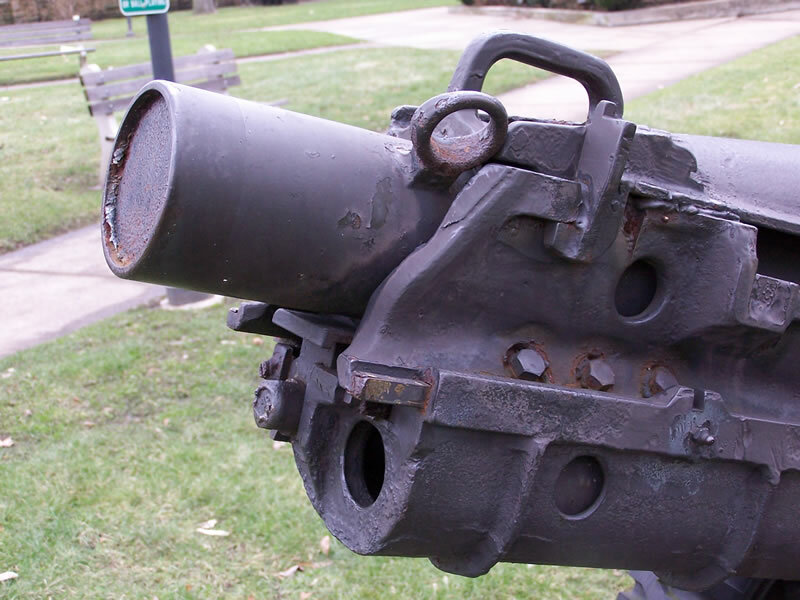 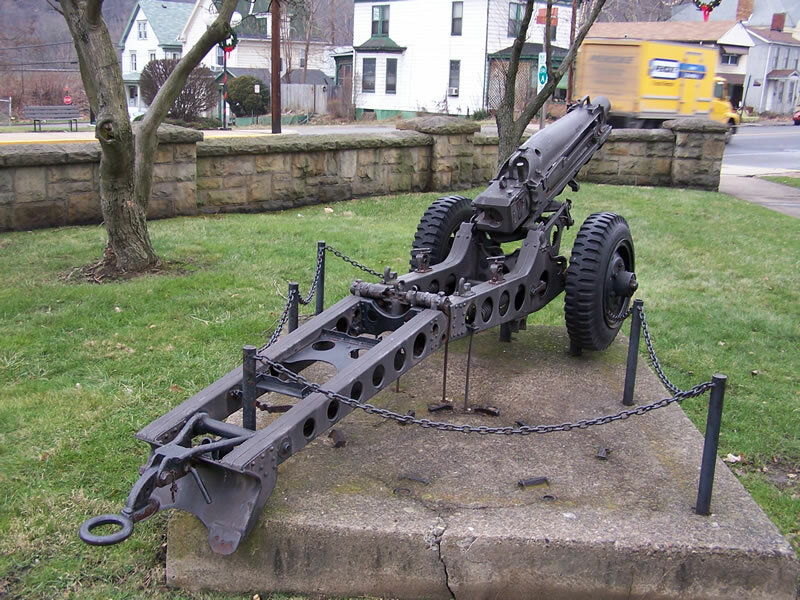 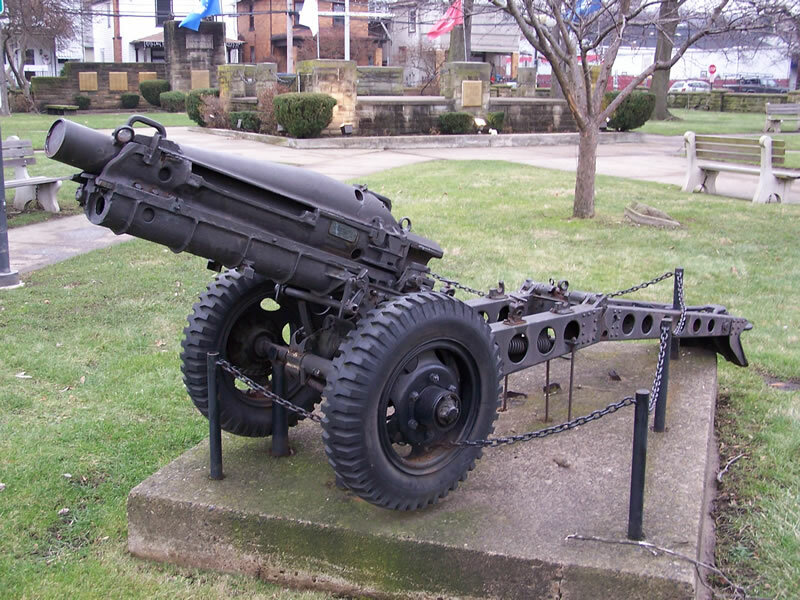 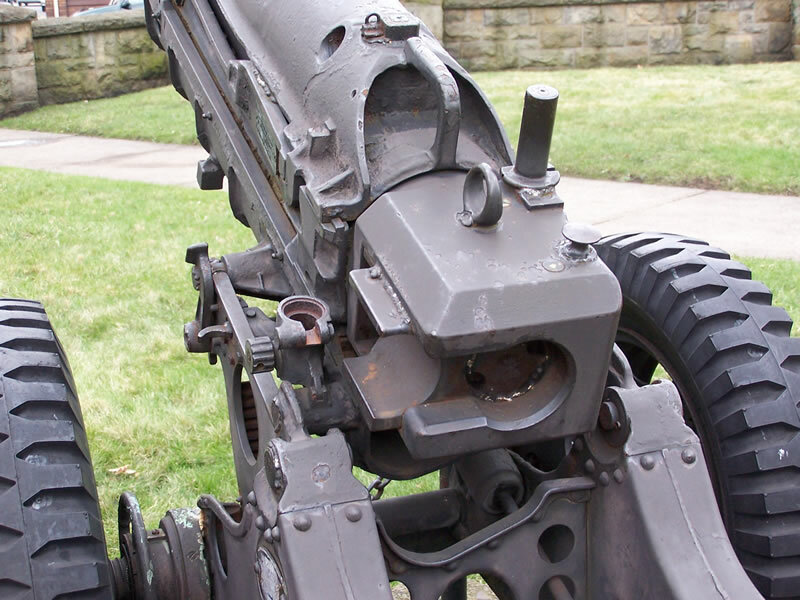 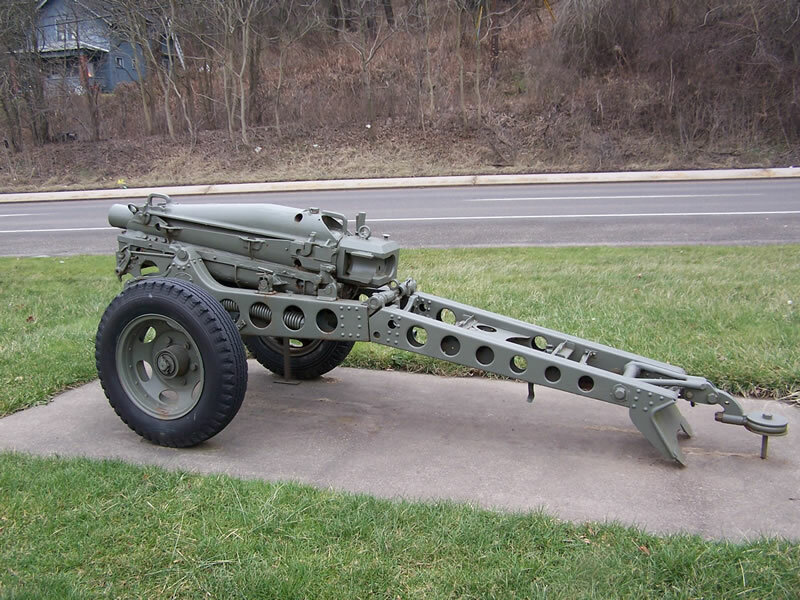 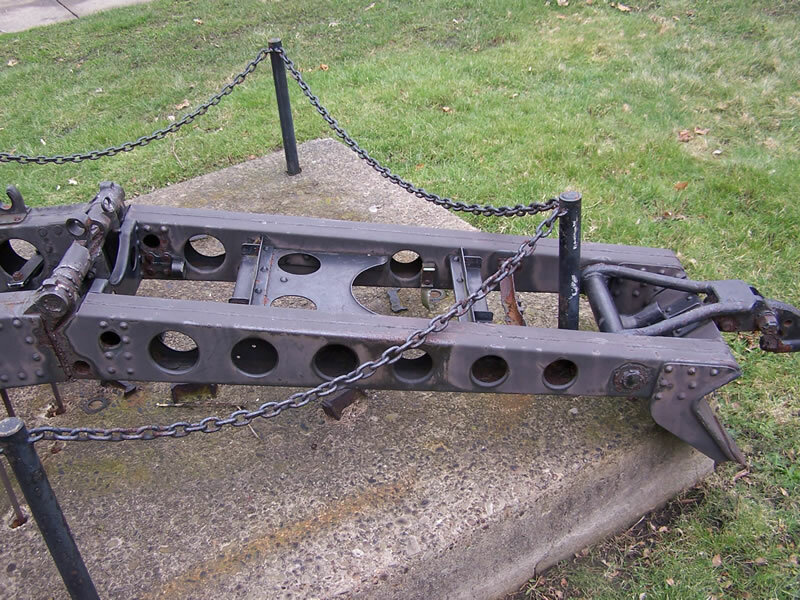 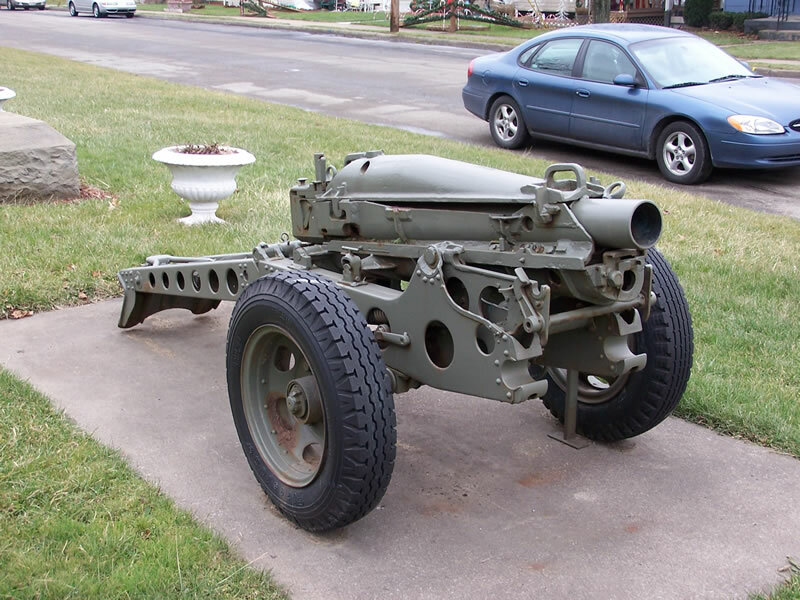 This howitzer was photographed by Kurt in New Brighton, PA. 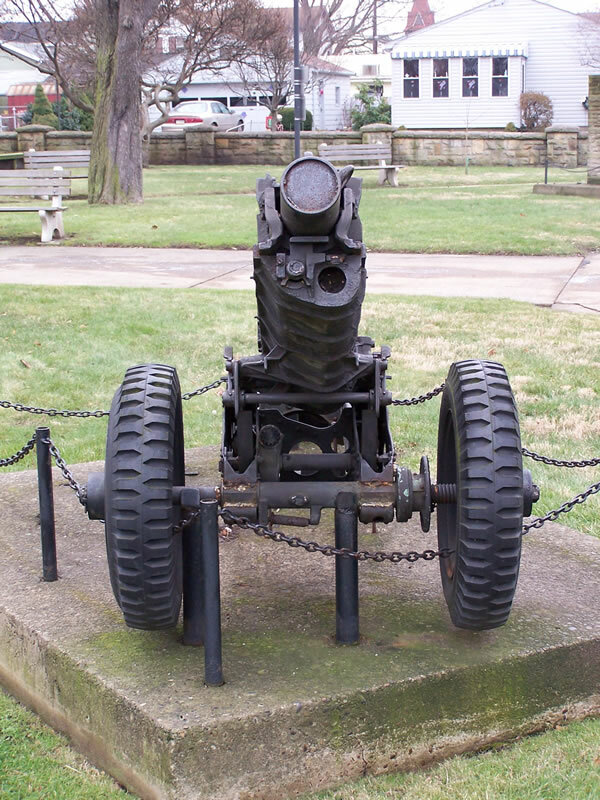 It's deployed in firing position. 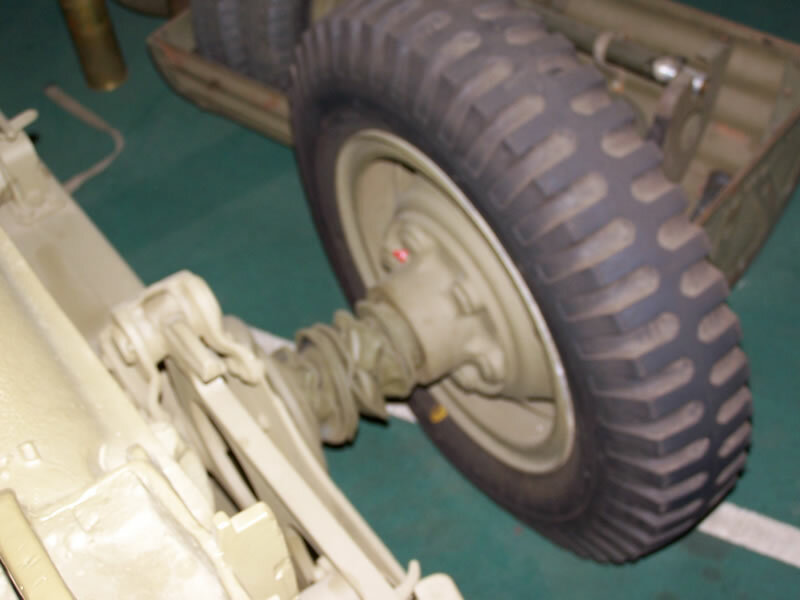 Finally, Kurt provides this set of photos shot at the World War II Vehicle Museum and Learning Center in Hubbard, Ohio. 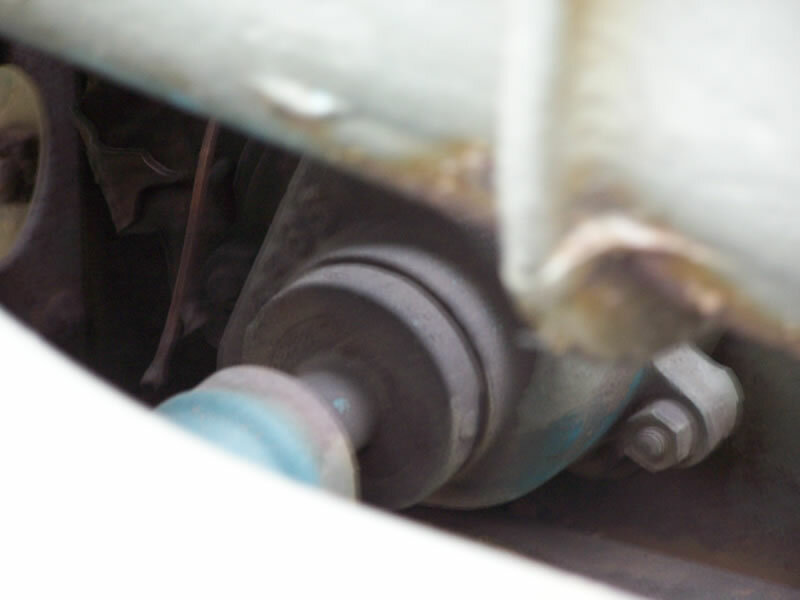 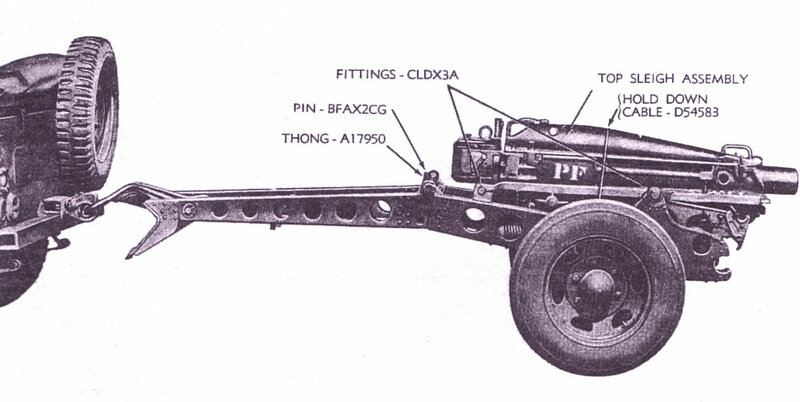 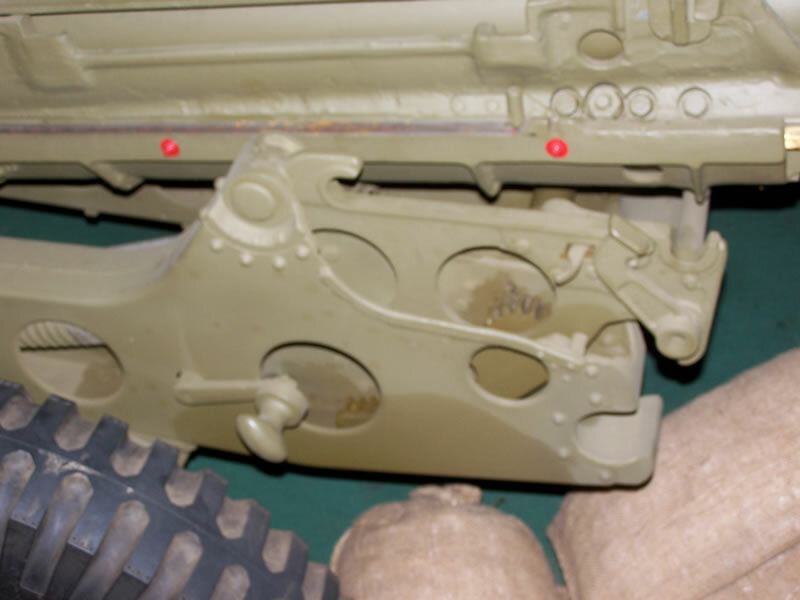 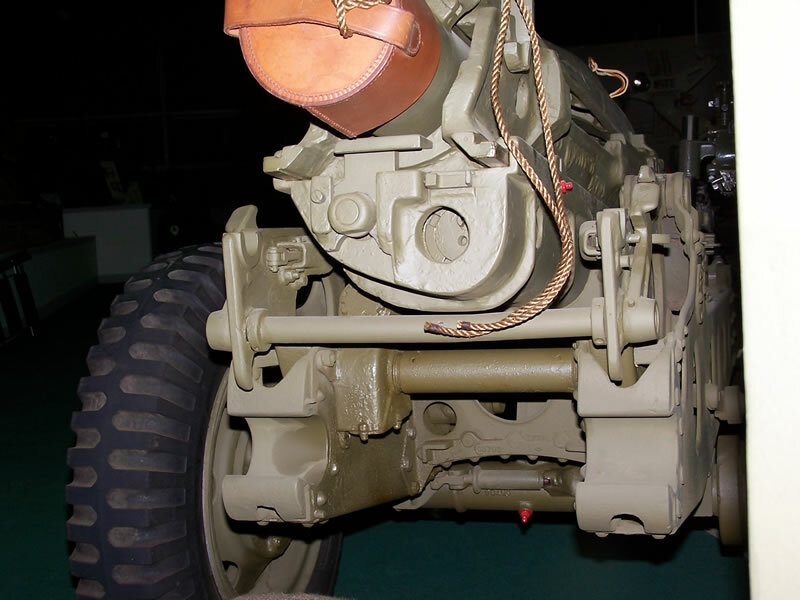 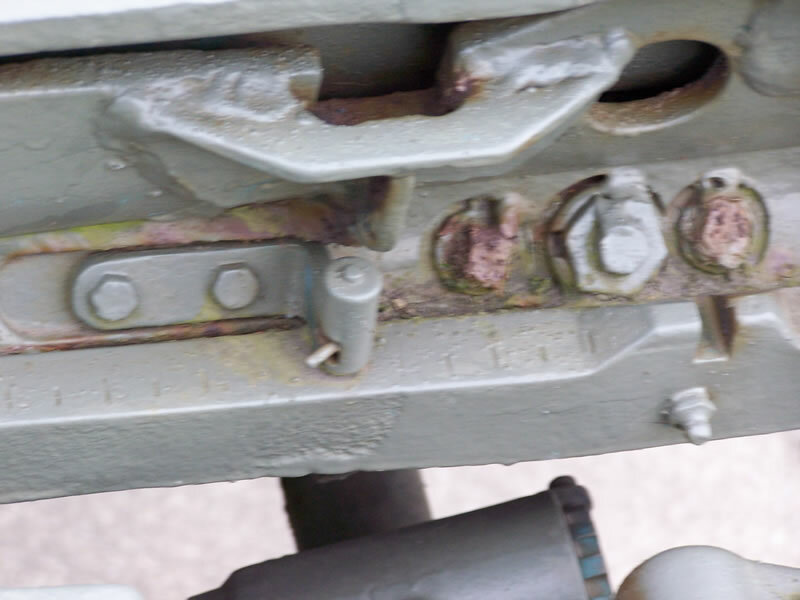 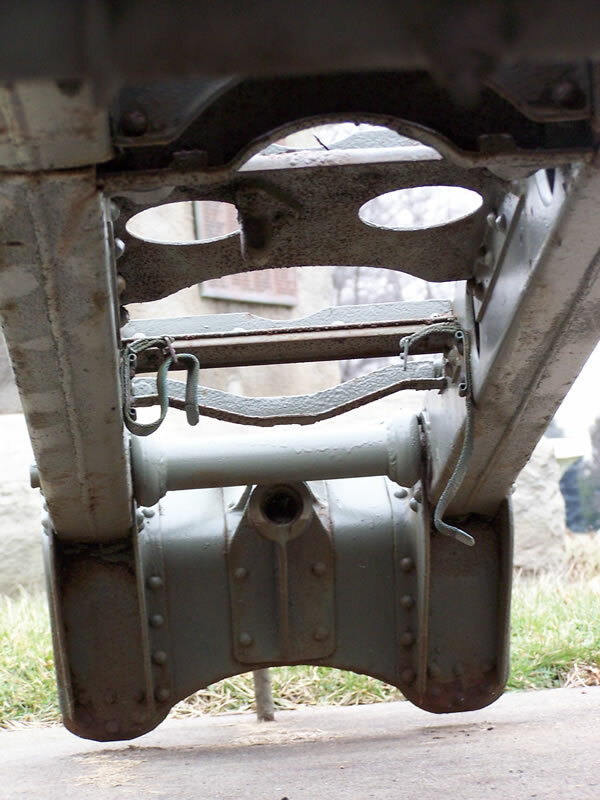 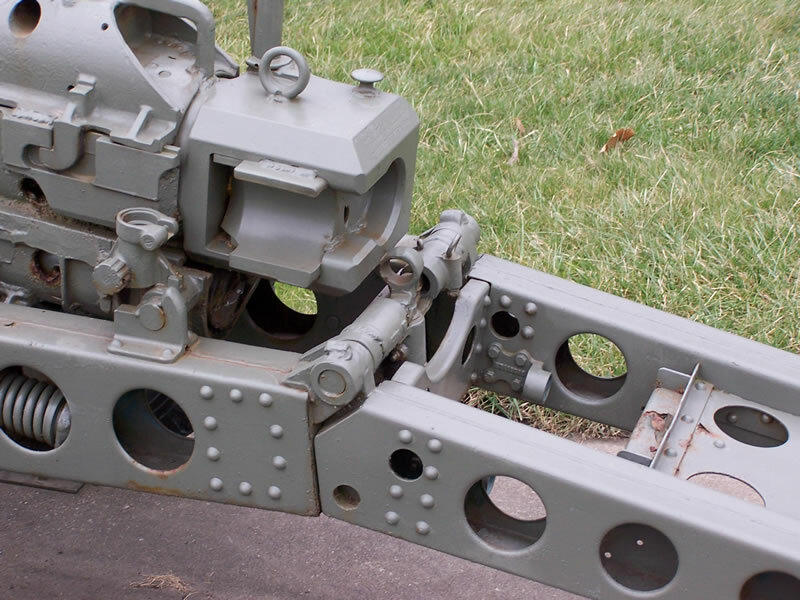 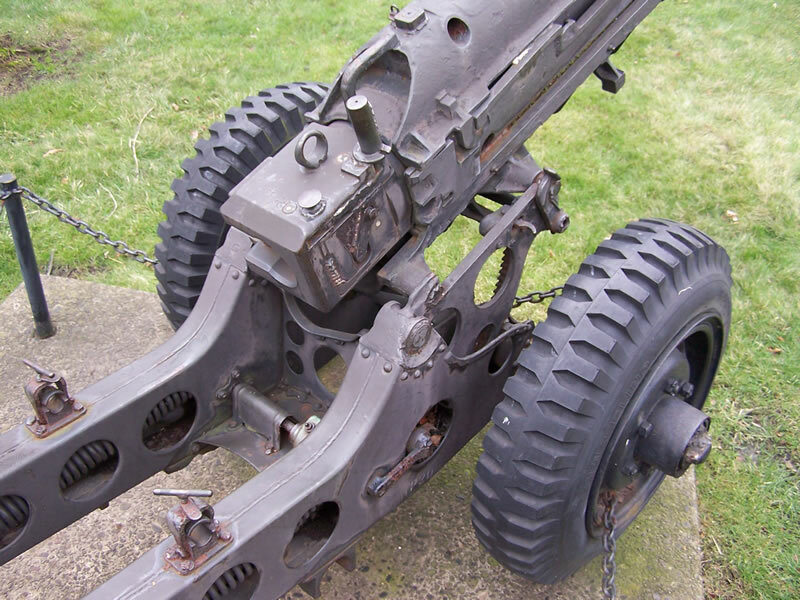 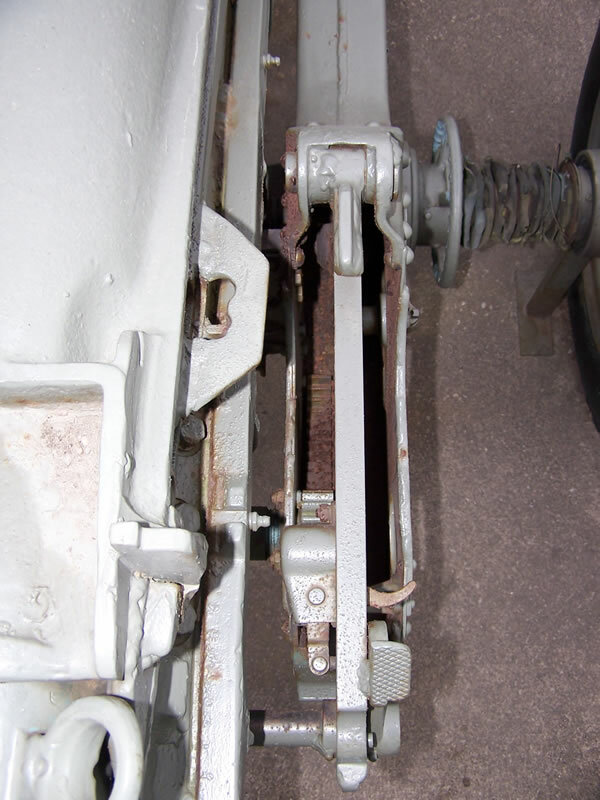 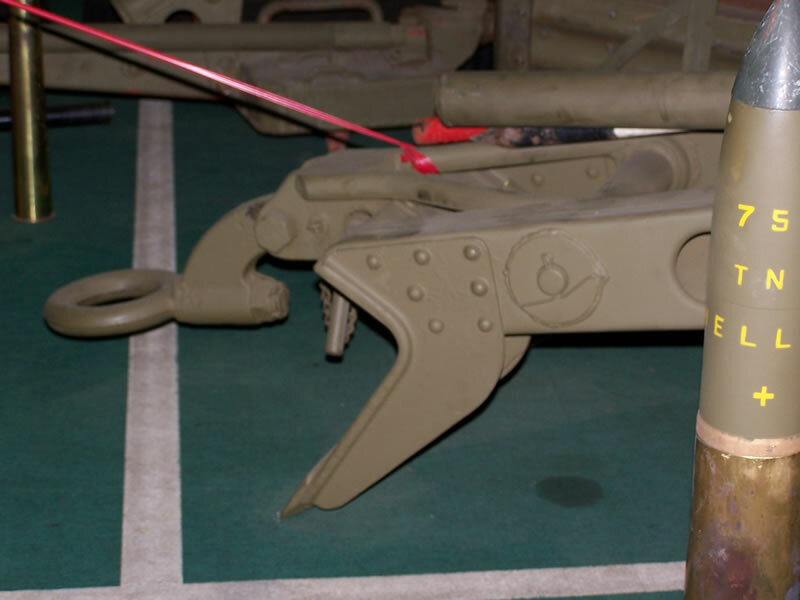 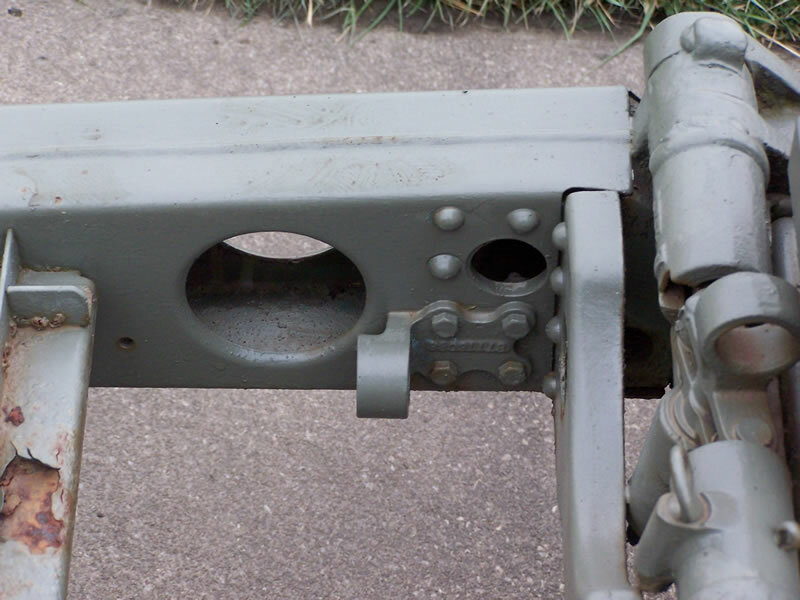 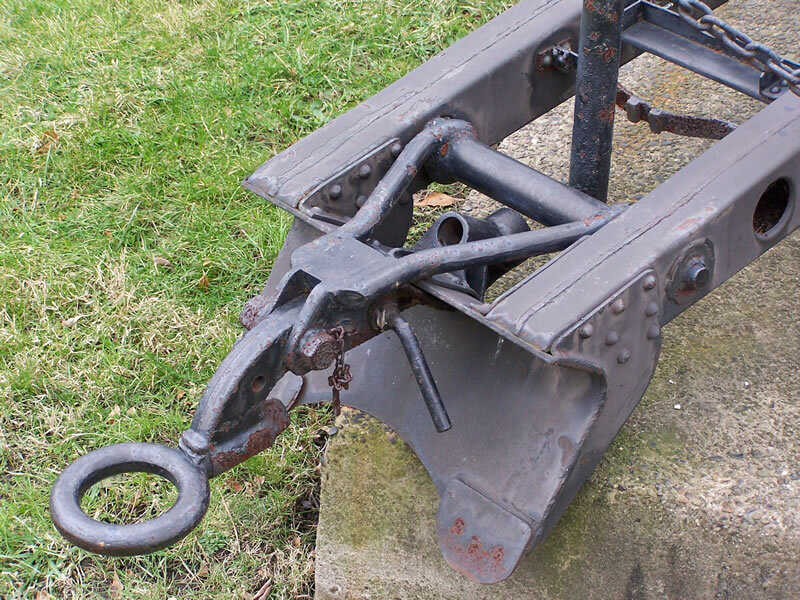 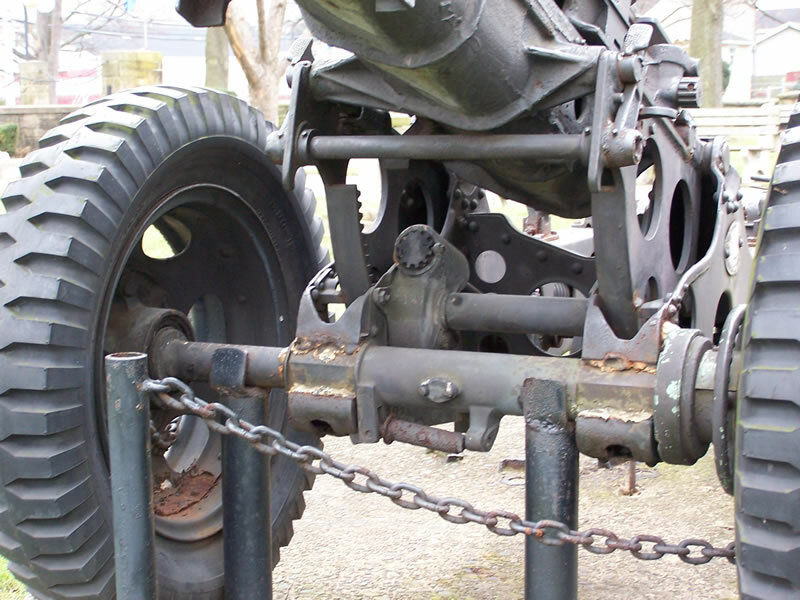 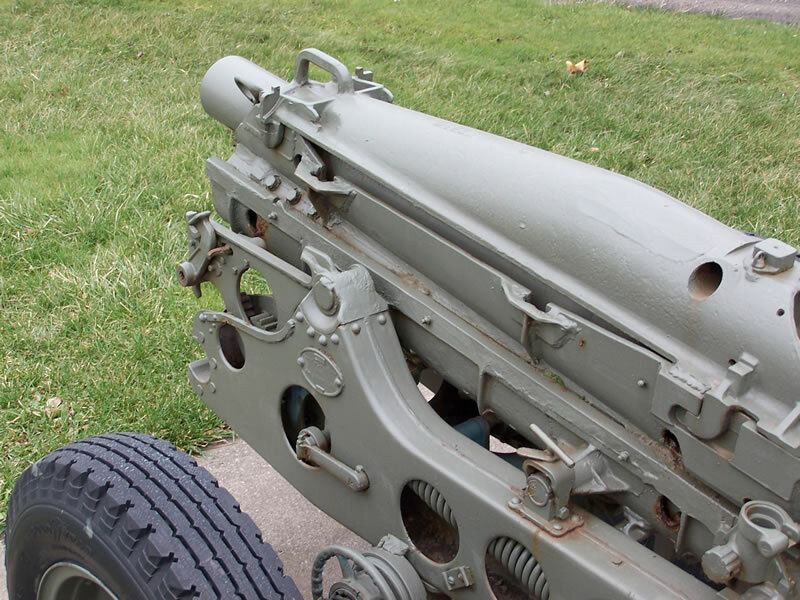 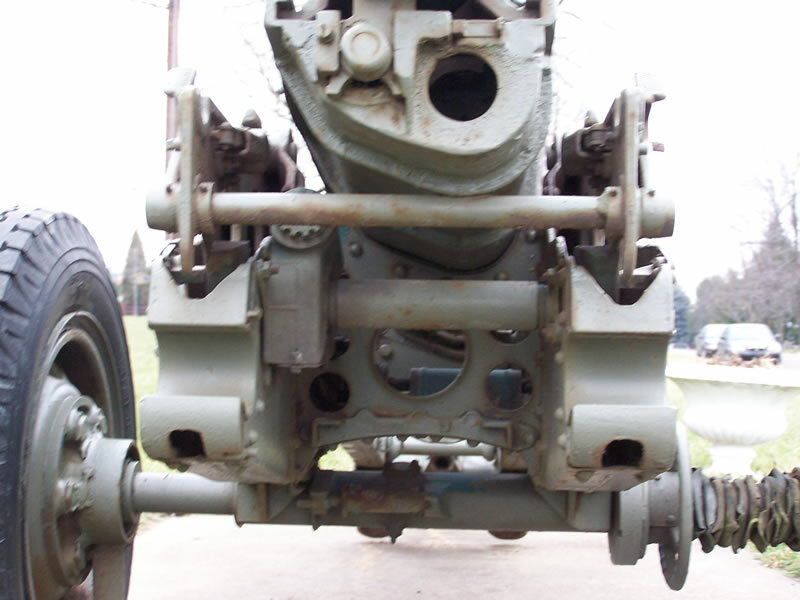 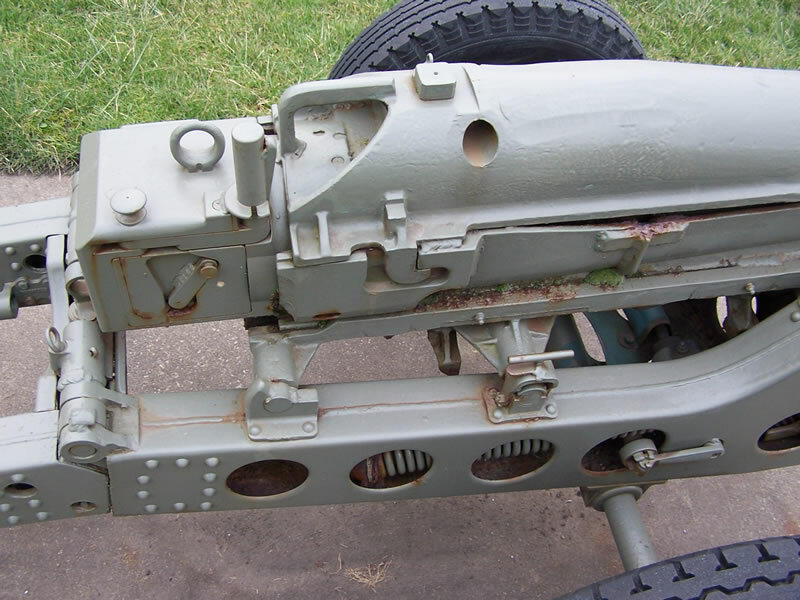 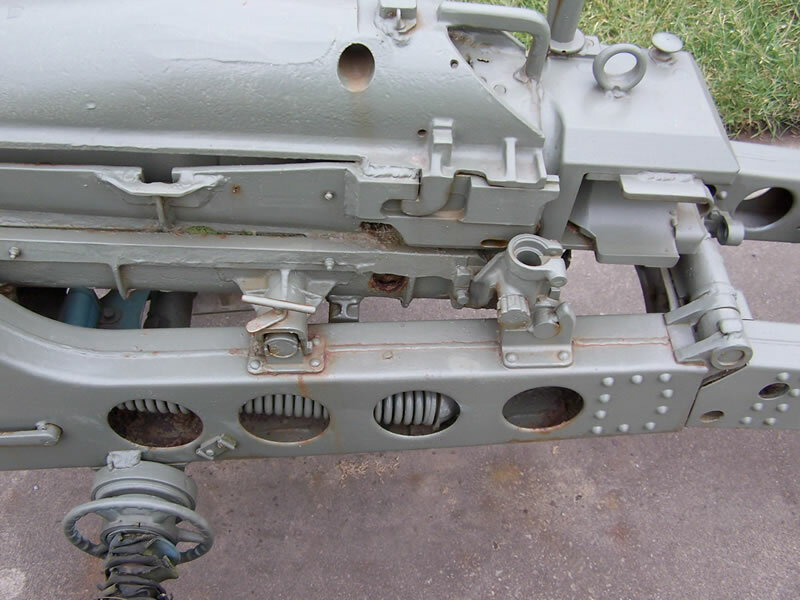 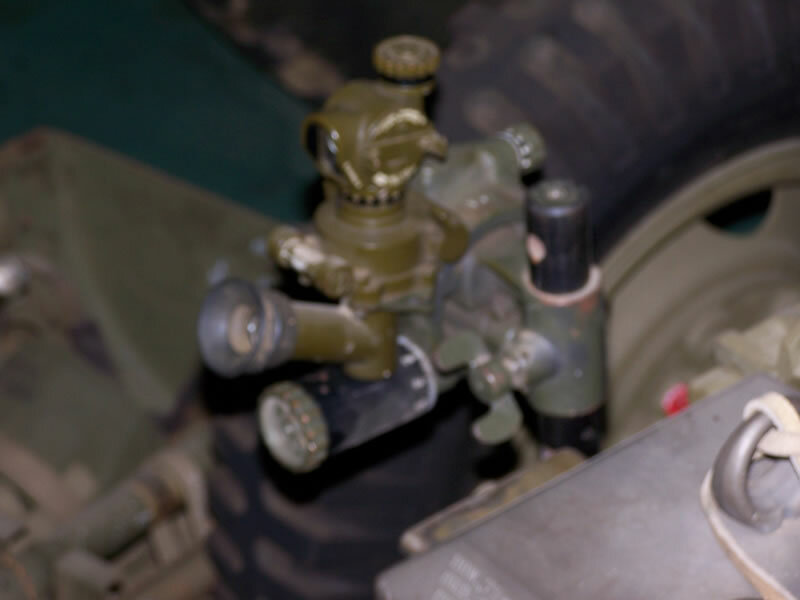 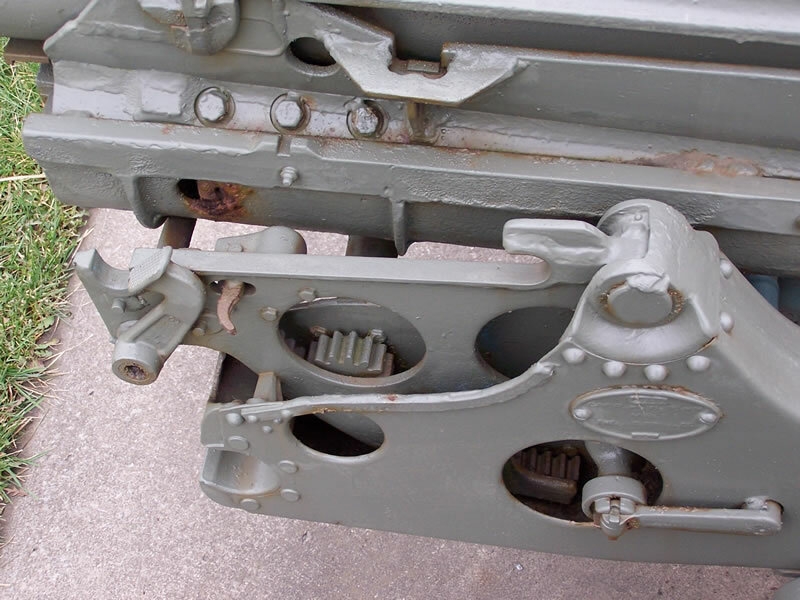 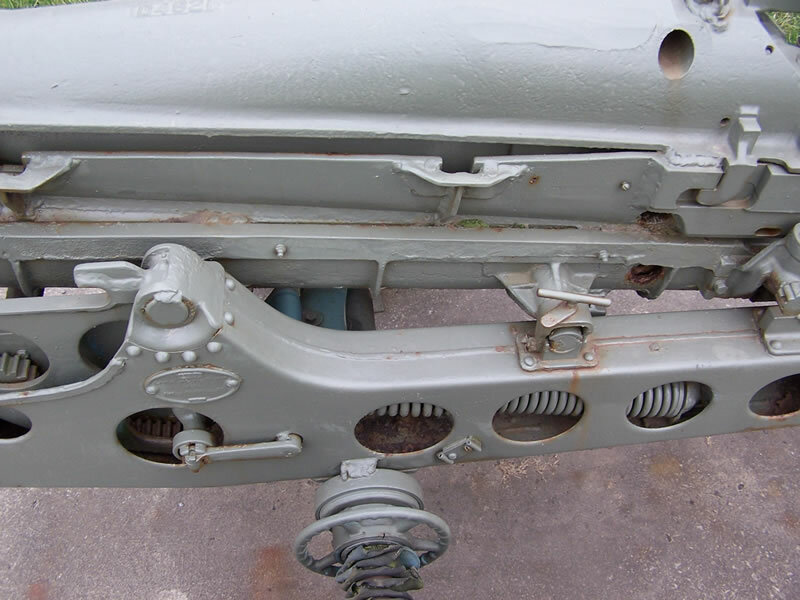 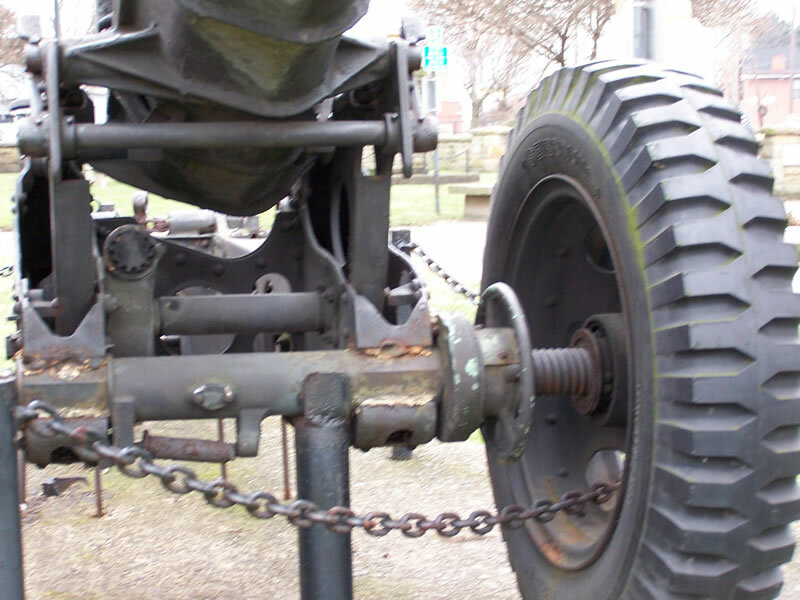 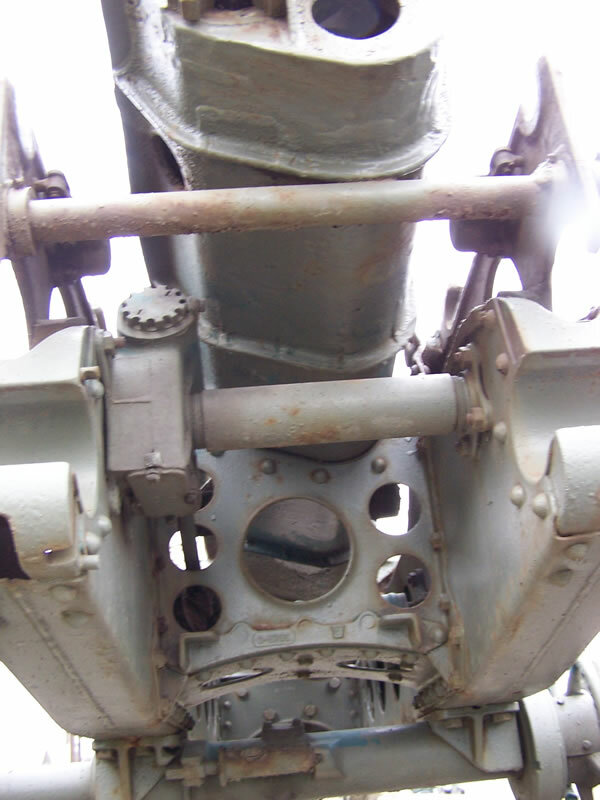 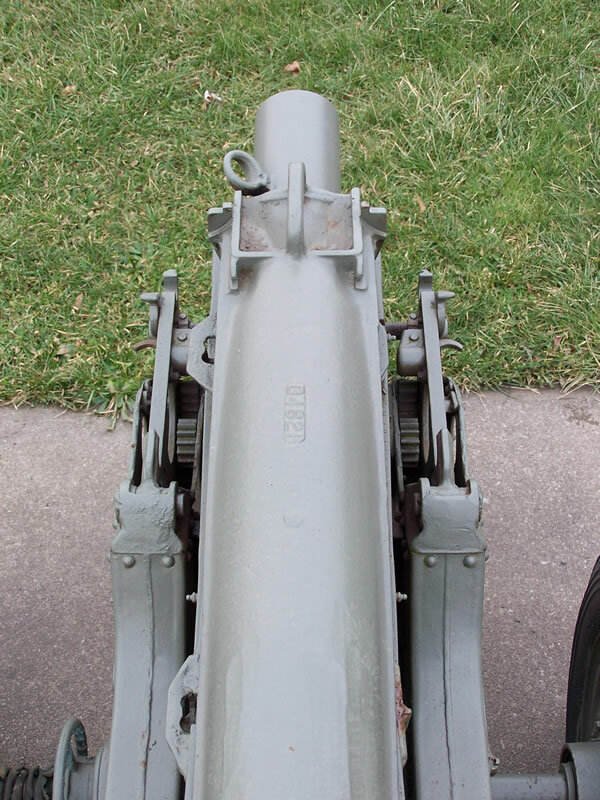 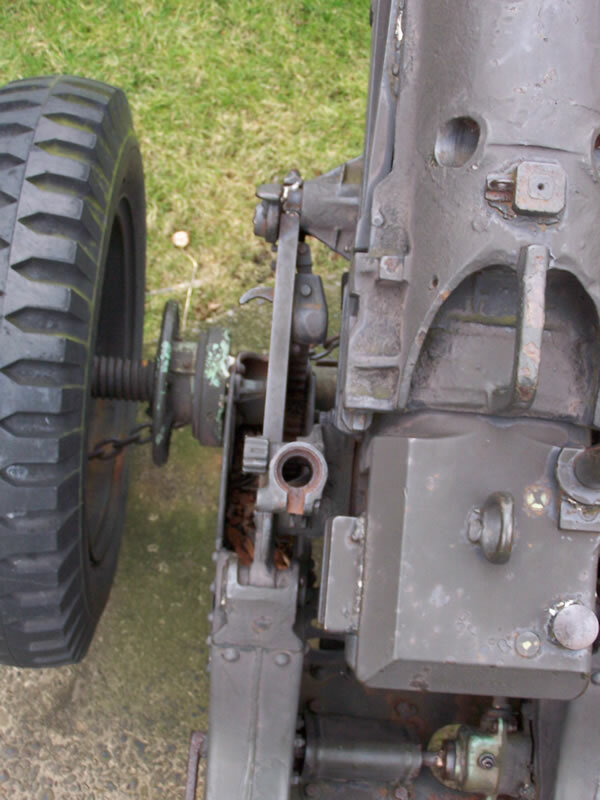 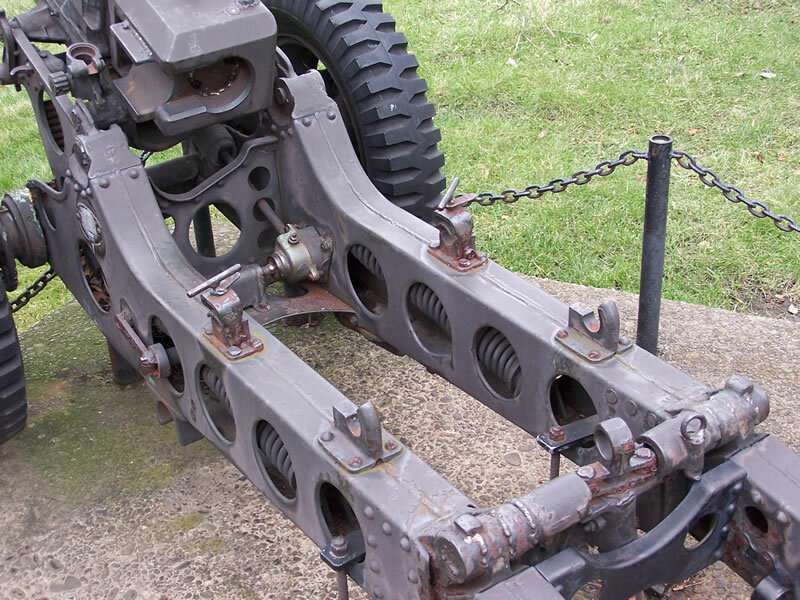 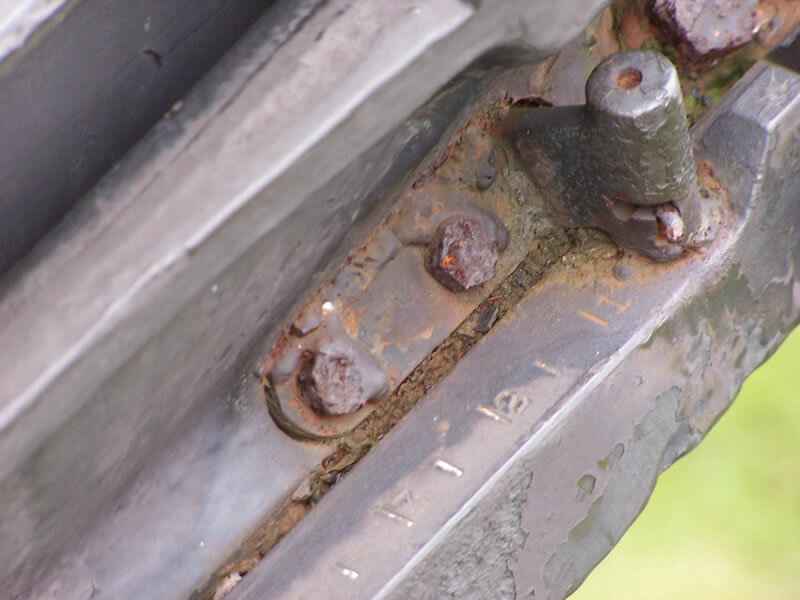 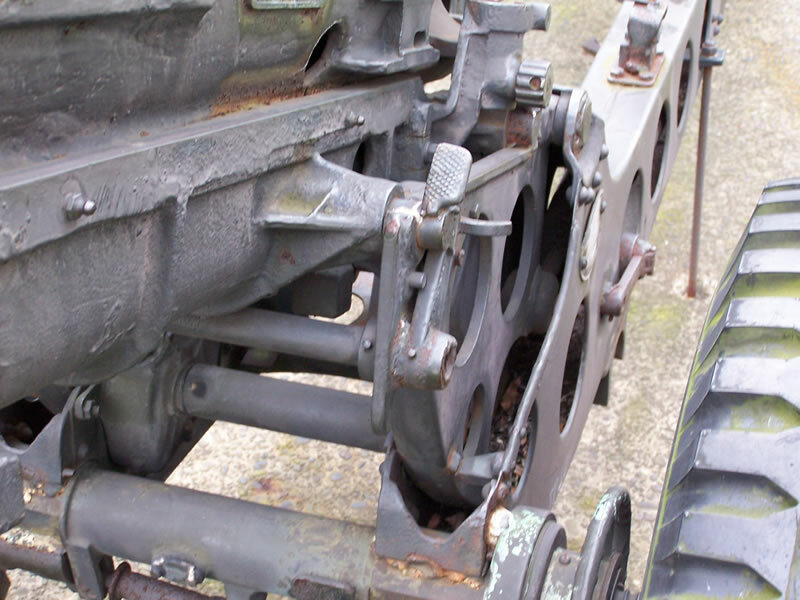 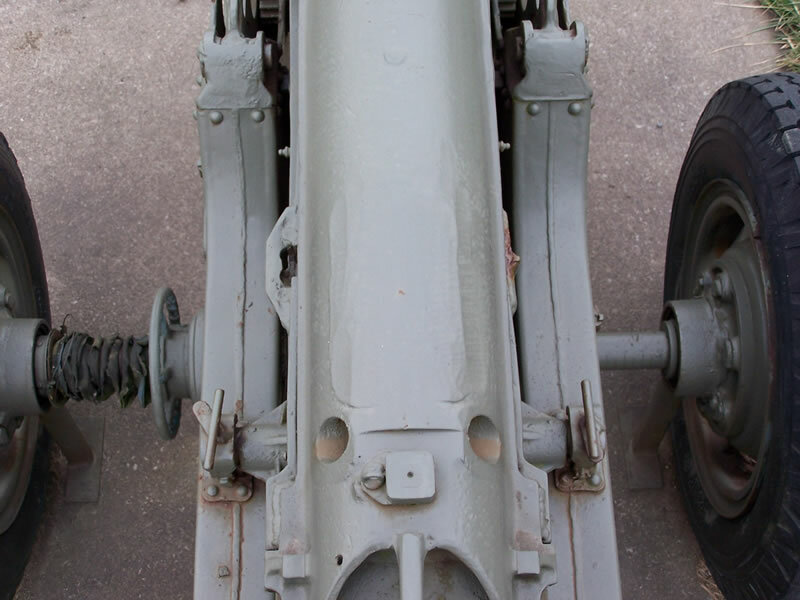 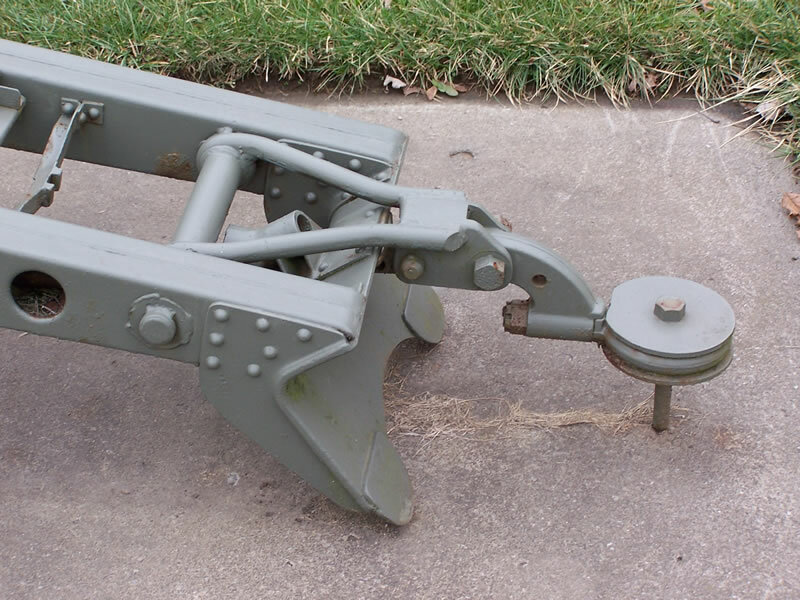 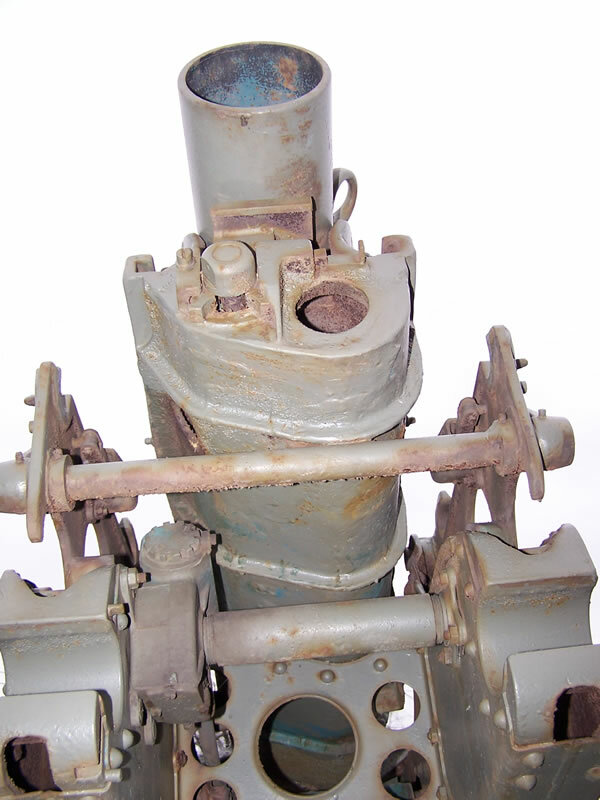 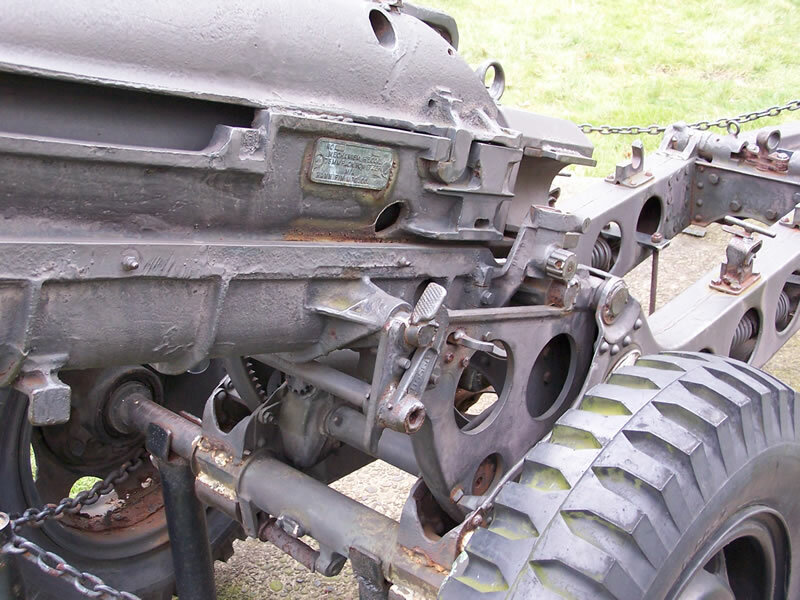 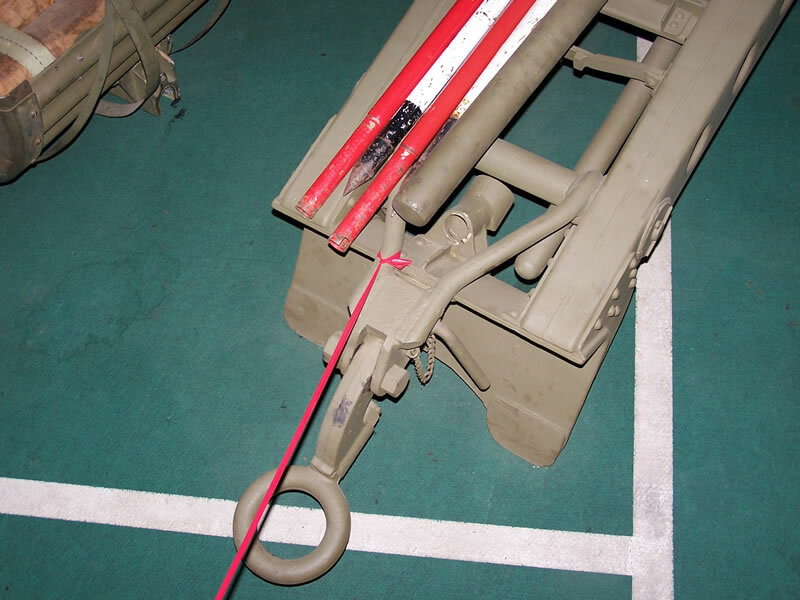 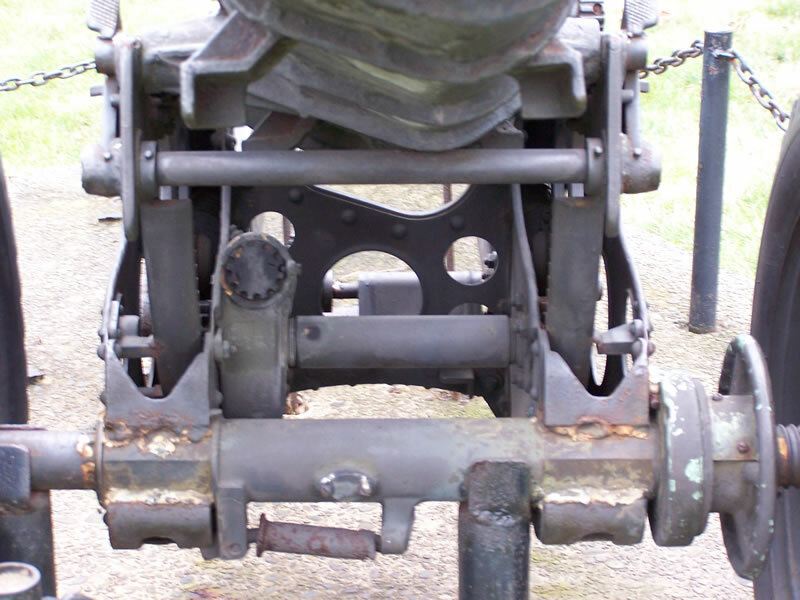 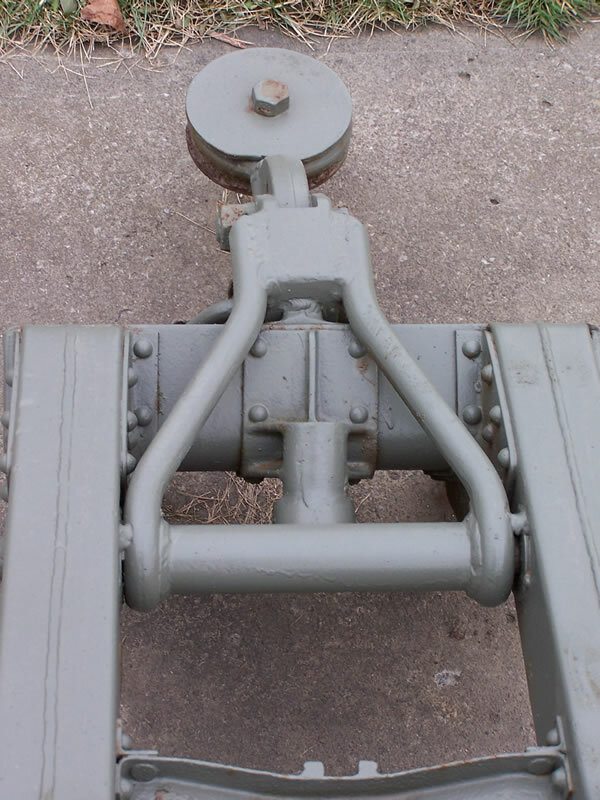 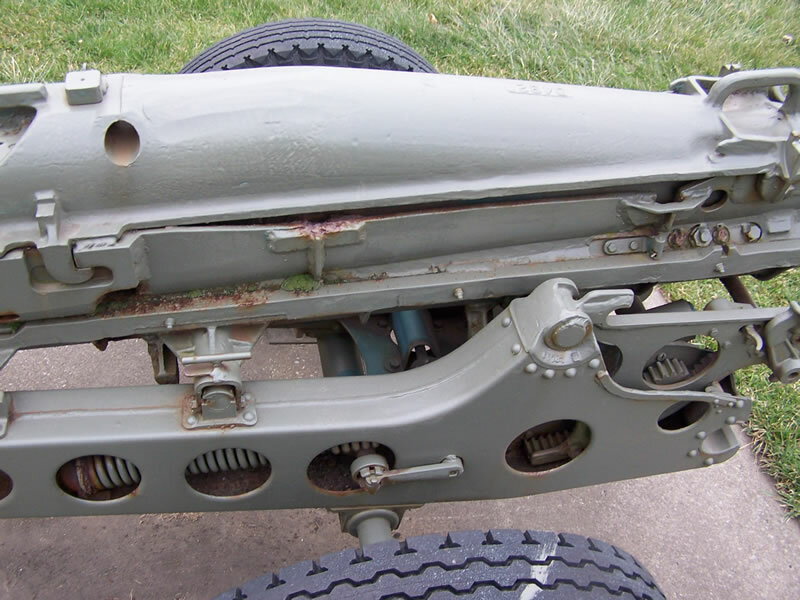 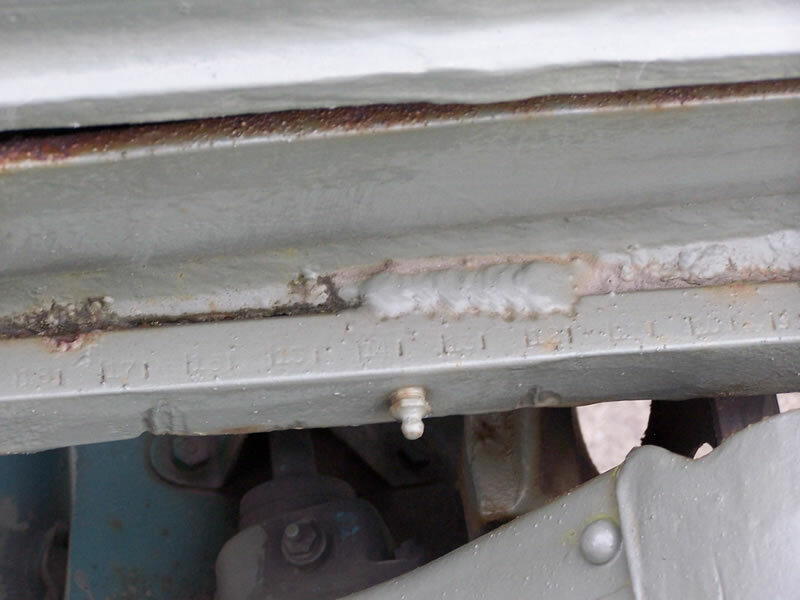 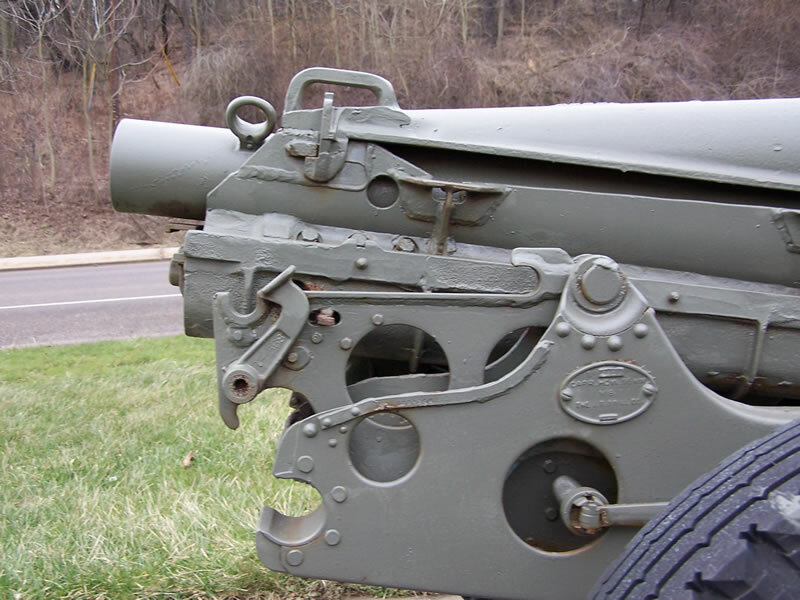 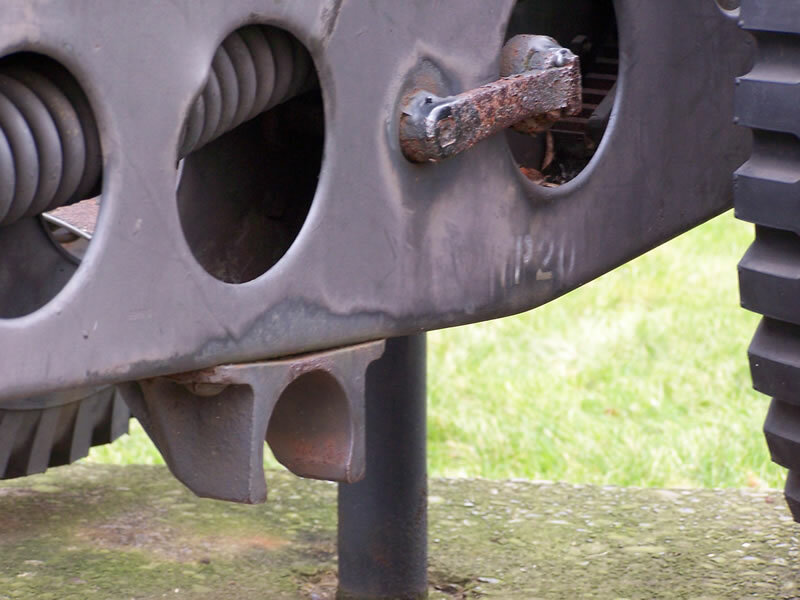 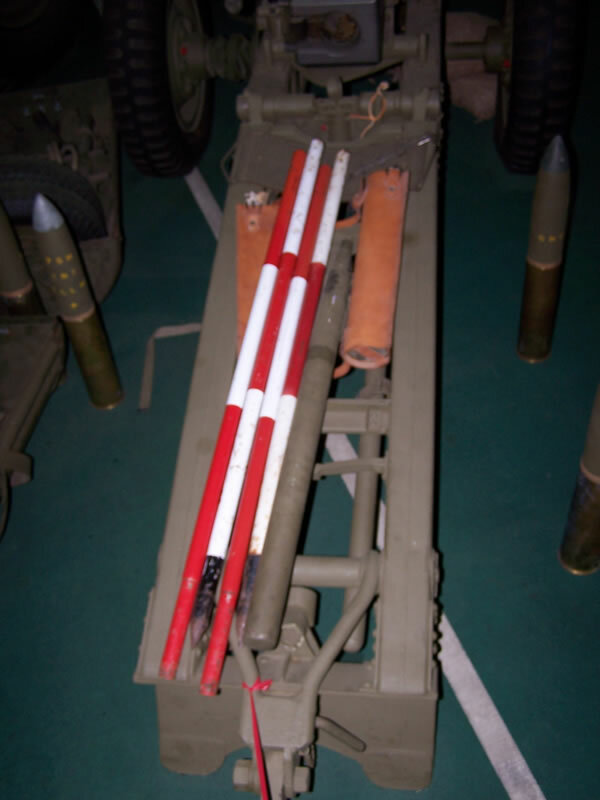 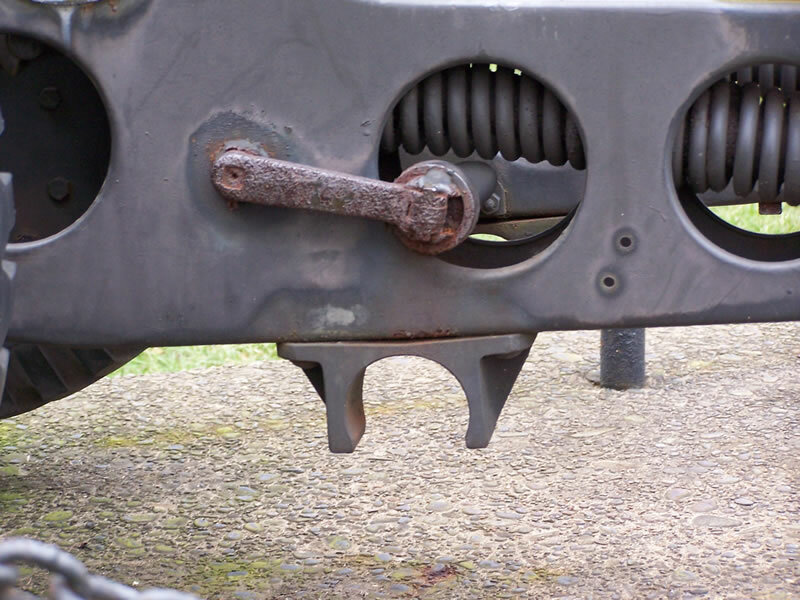 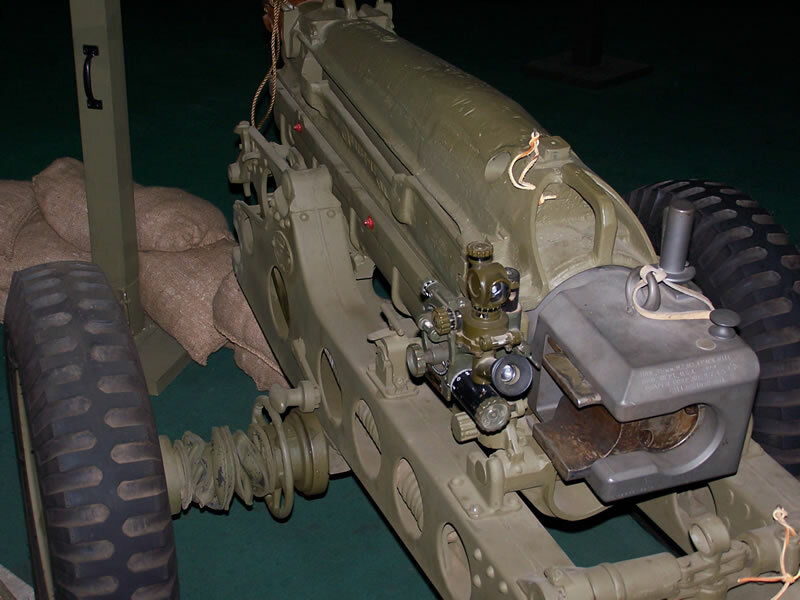 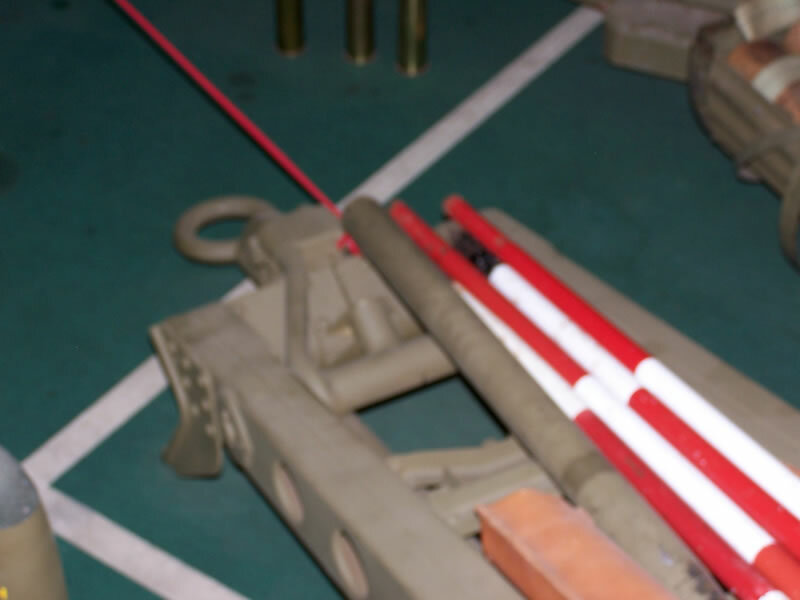 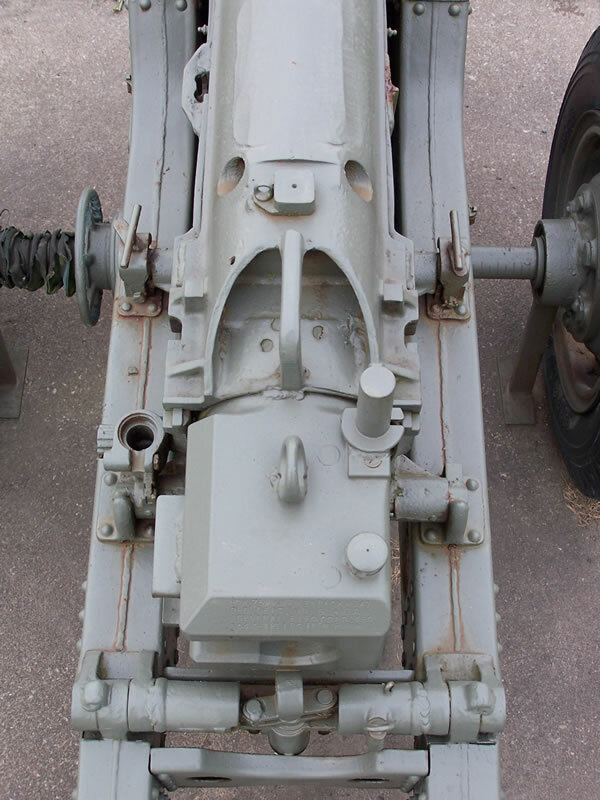 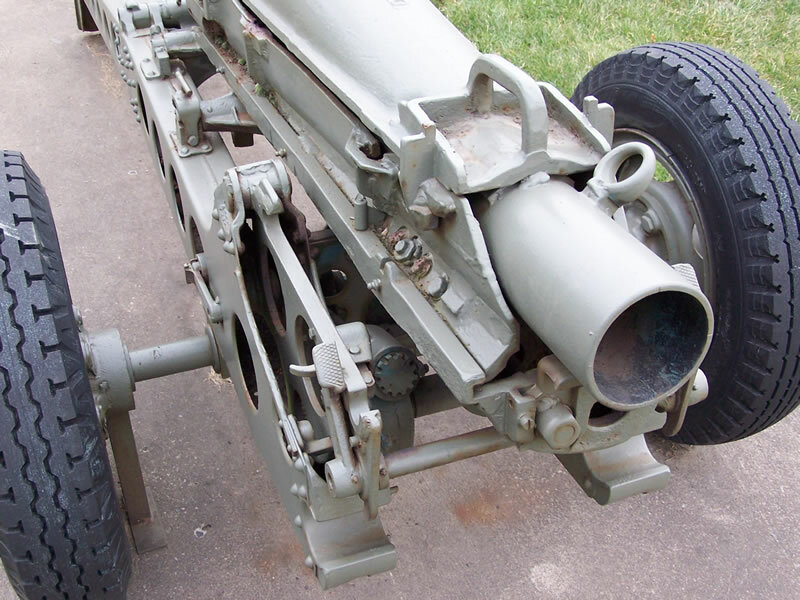 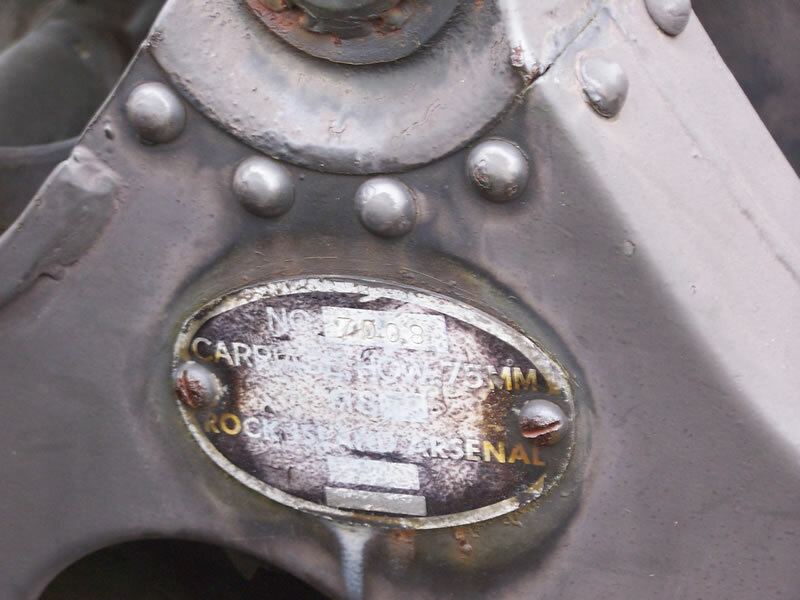 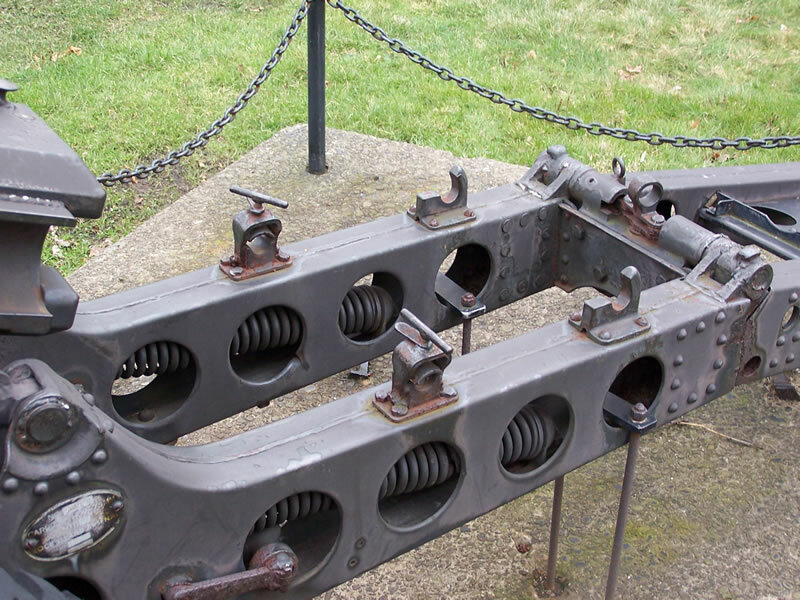 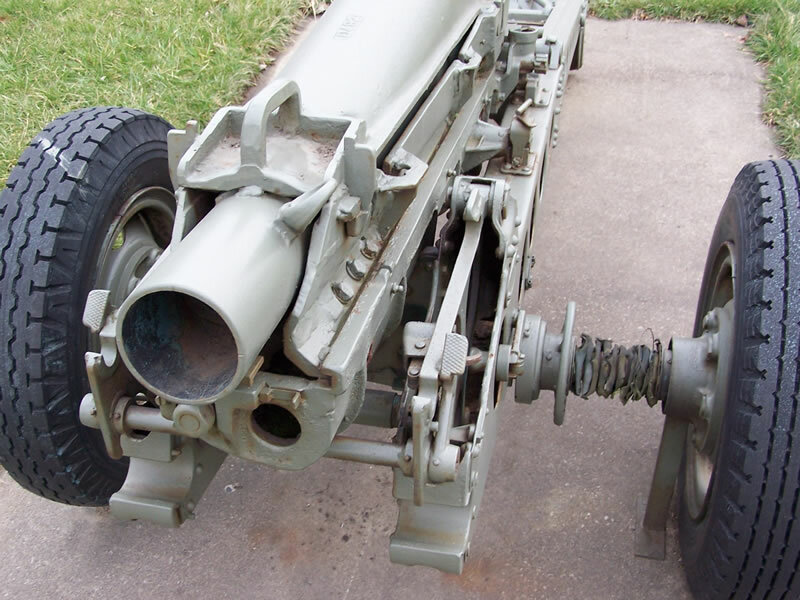 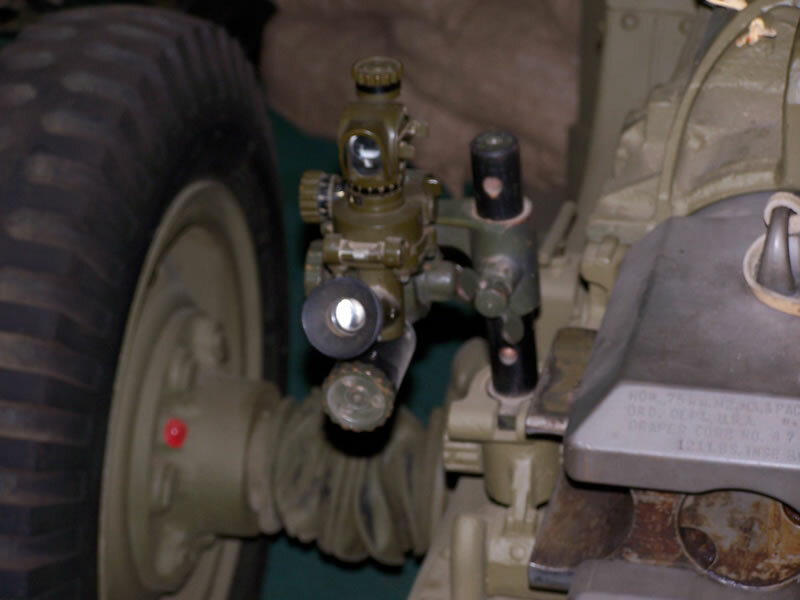 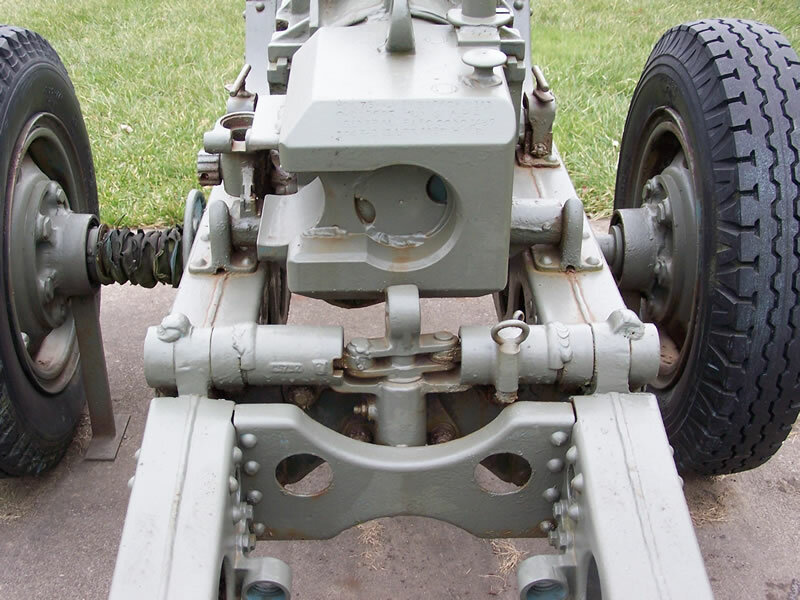 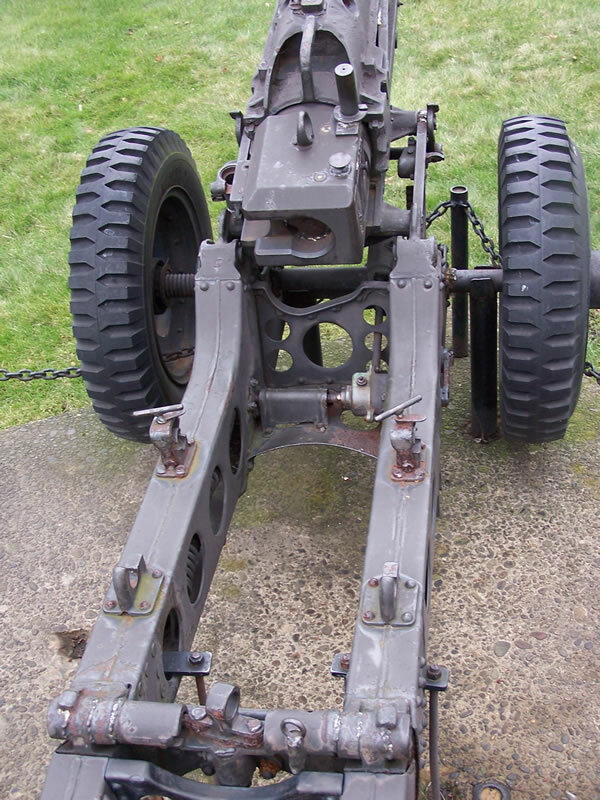 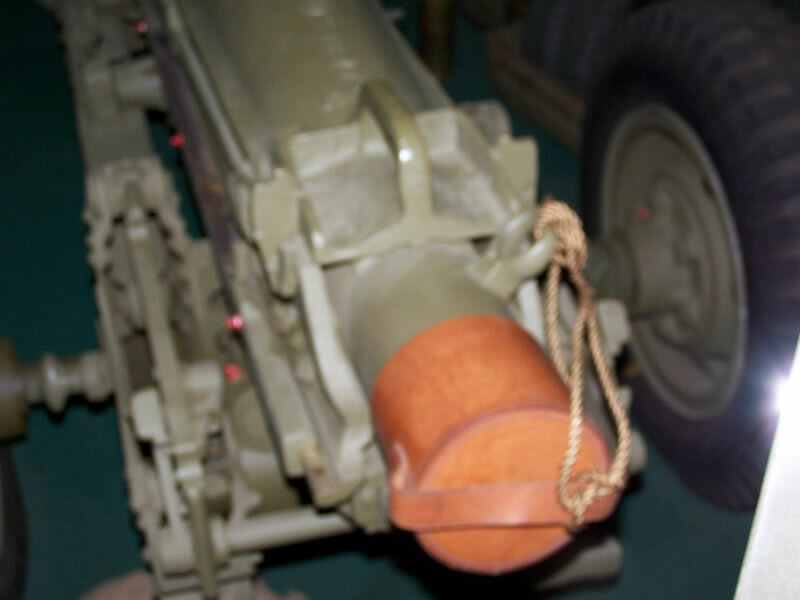 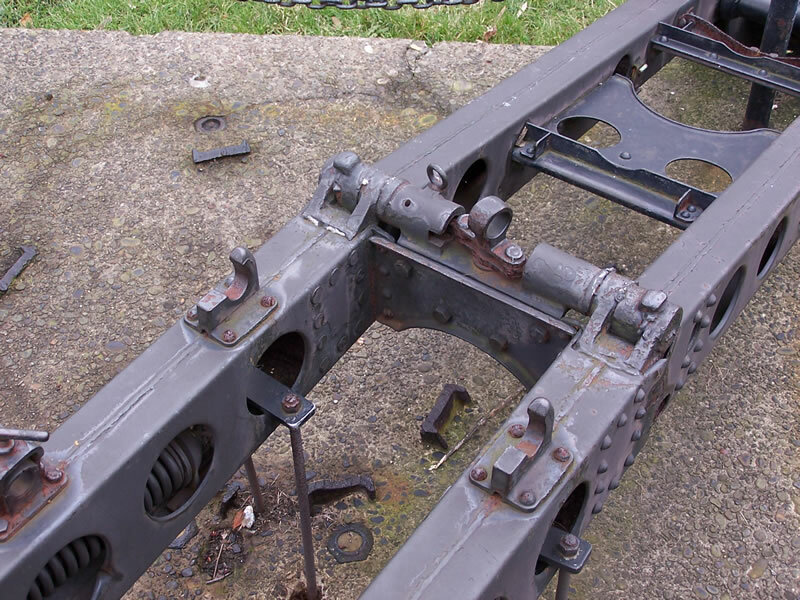 These provide a good guide for painting (note the color of the breech block) and accessories such as the sighting mechanism missing from the park howitzers. 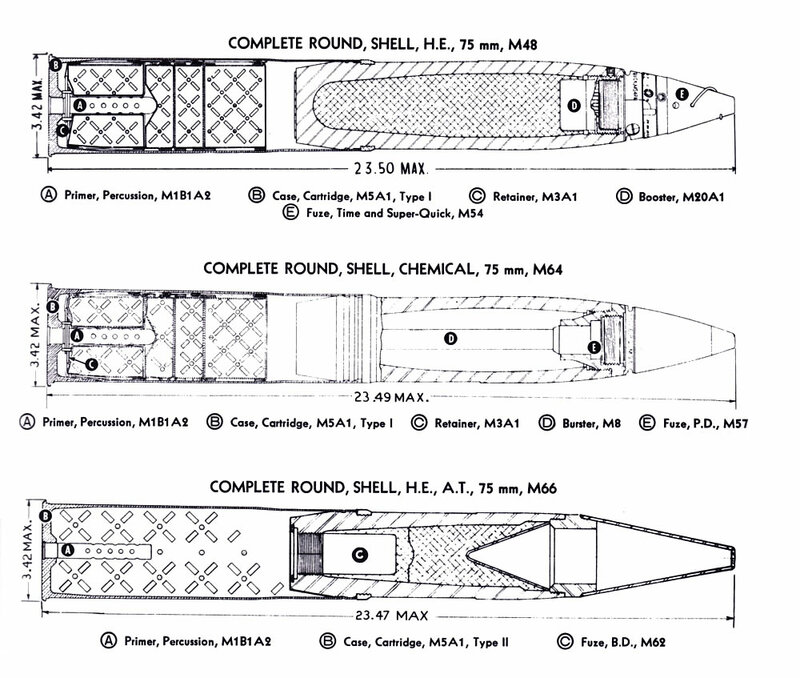 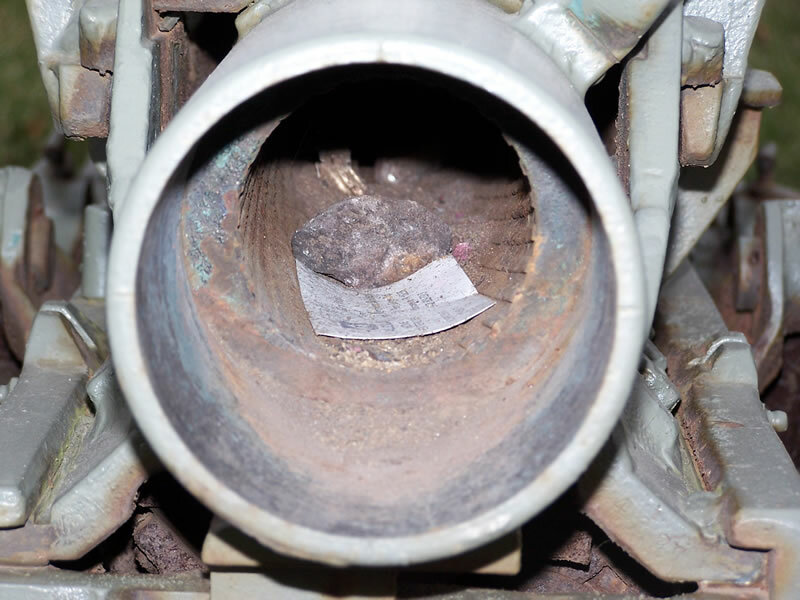 Kurt notes that the shell visible in some pictures above is not marked authentically and shouldn't be used as a reference. 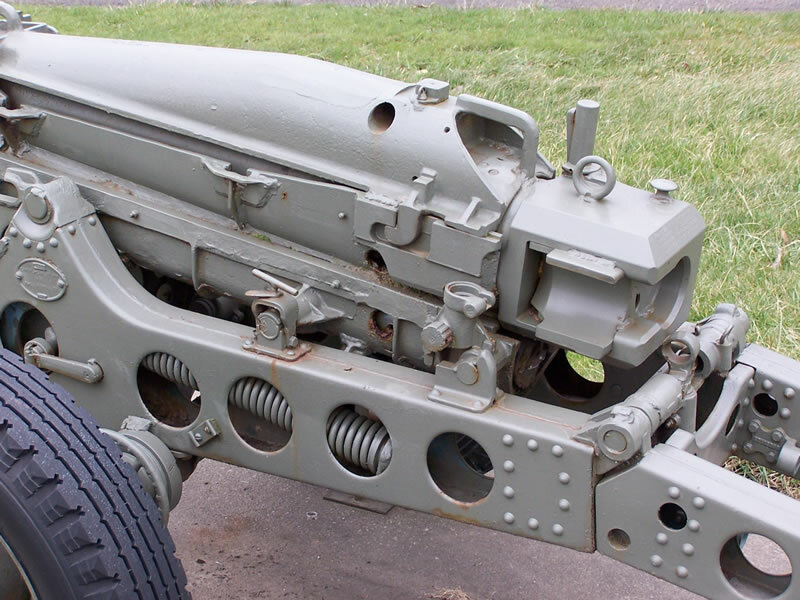 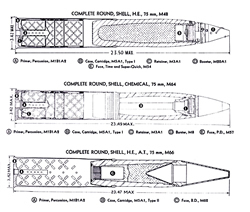 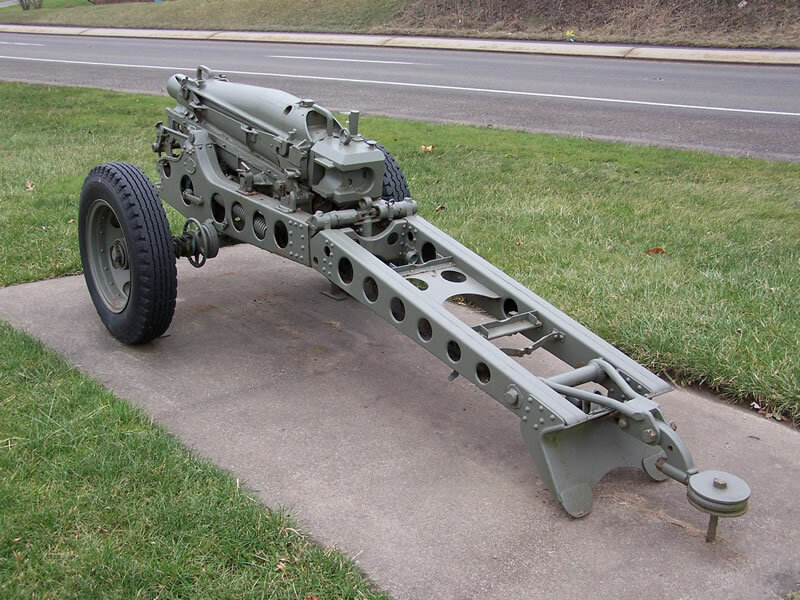 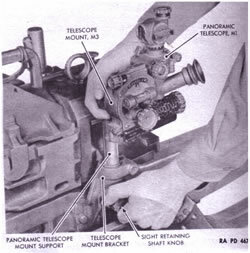 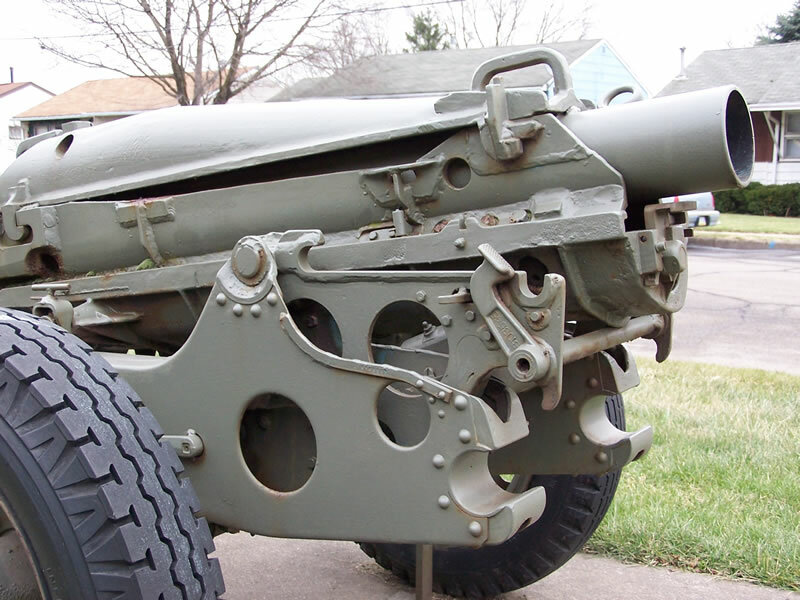 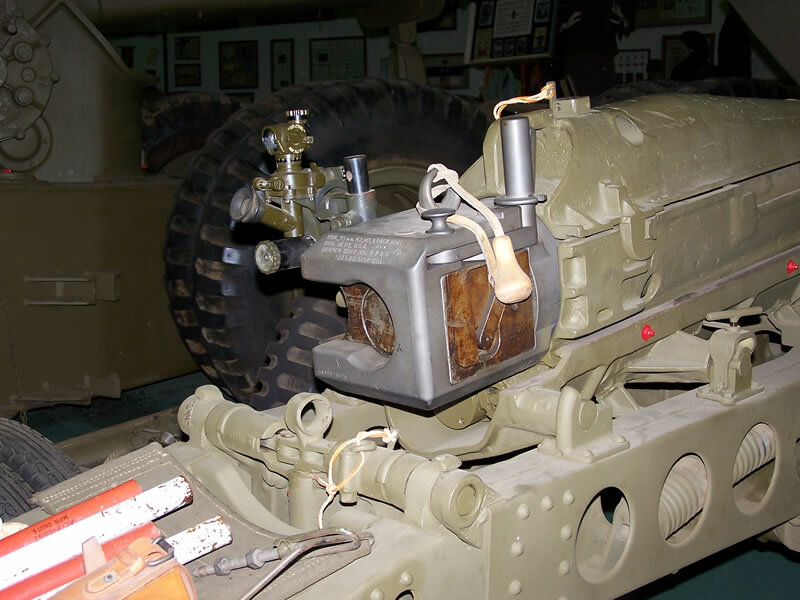 The M8 technical manual is available for a free download at the U.S. Army Heritage & Education Center website: TM 9-319 75mm Pack Howitzer M1A1 and Carriage M8. 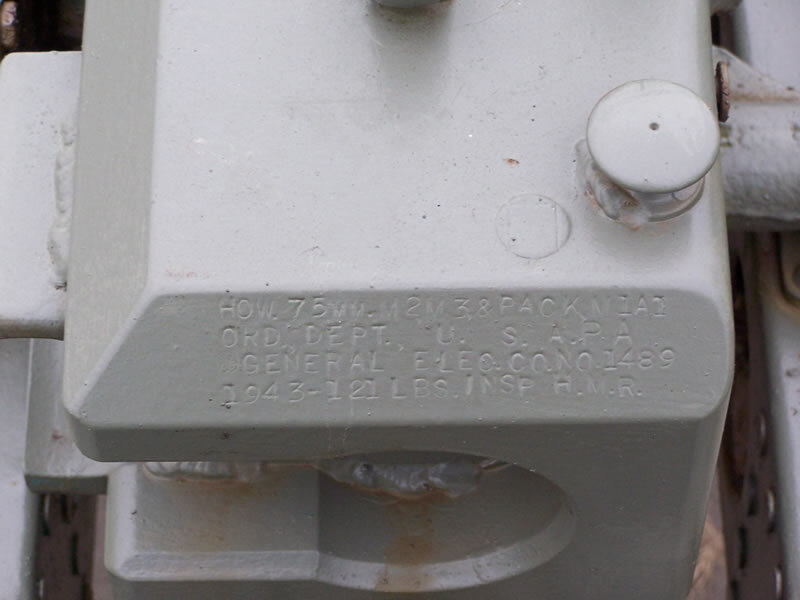 Be warned, it's 28 Mb! 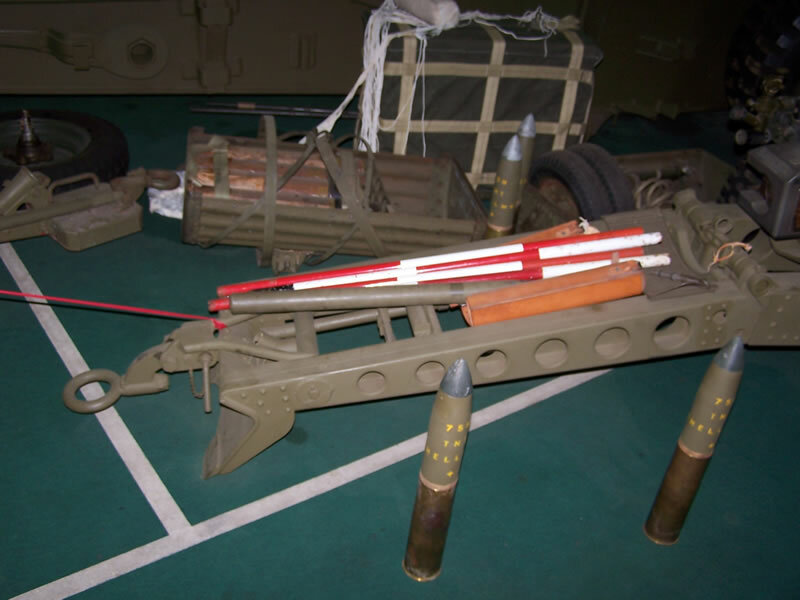 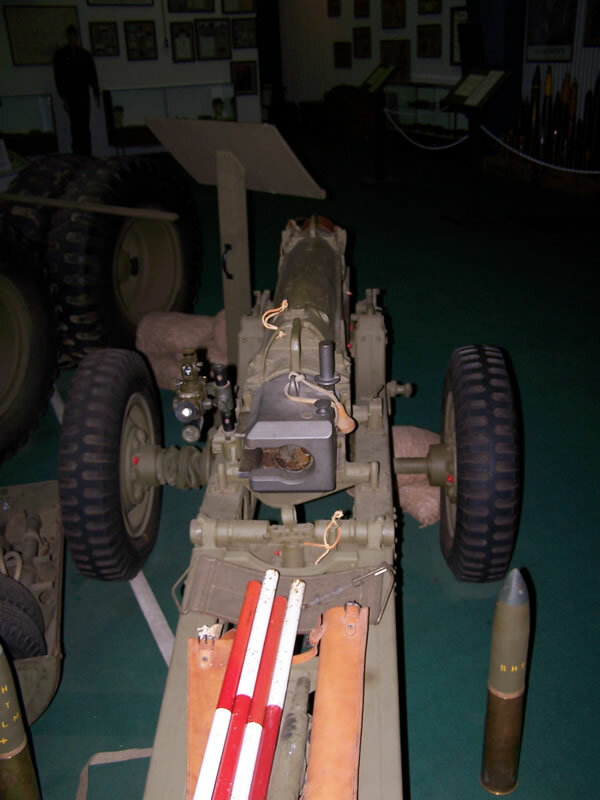 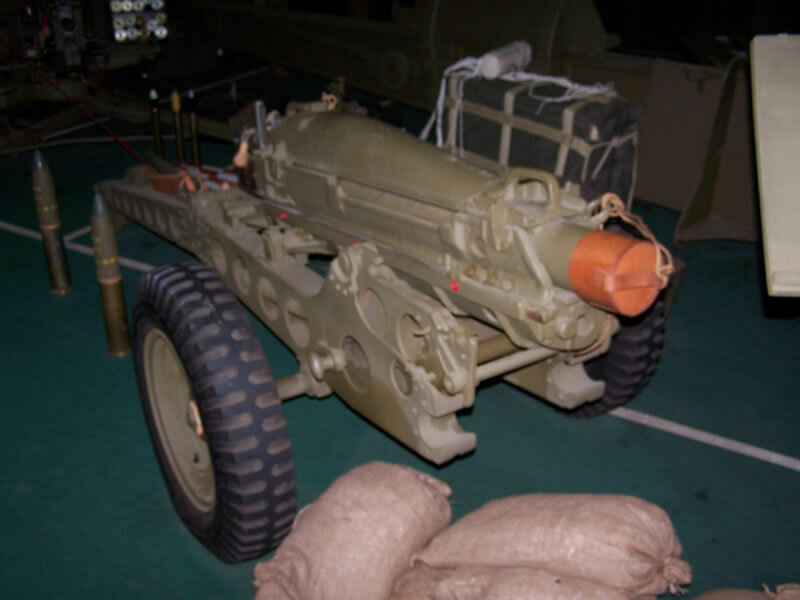 FM 6-78 75mm Pack Howitzer M1A1 FM 6-78. 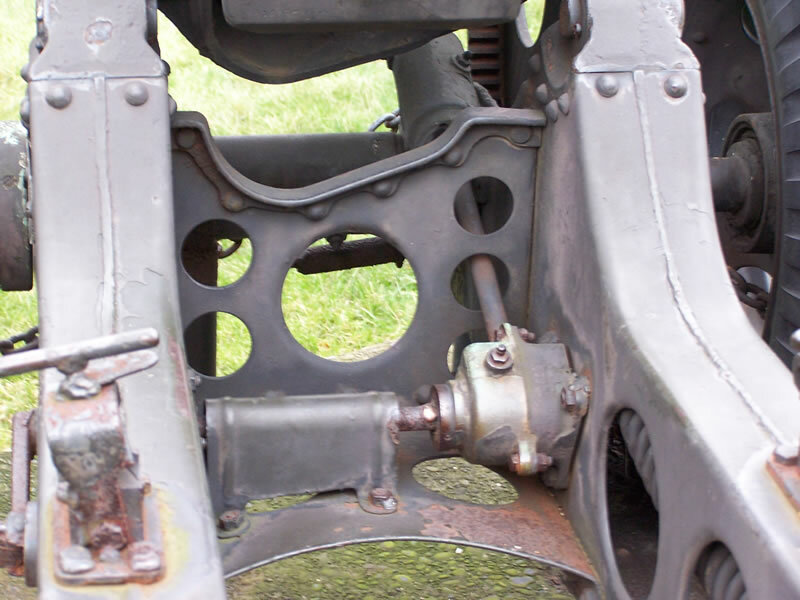 This file is only 4 Mb. 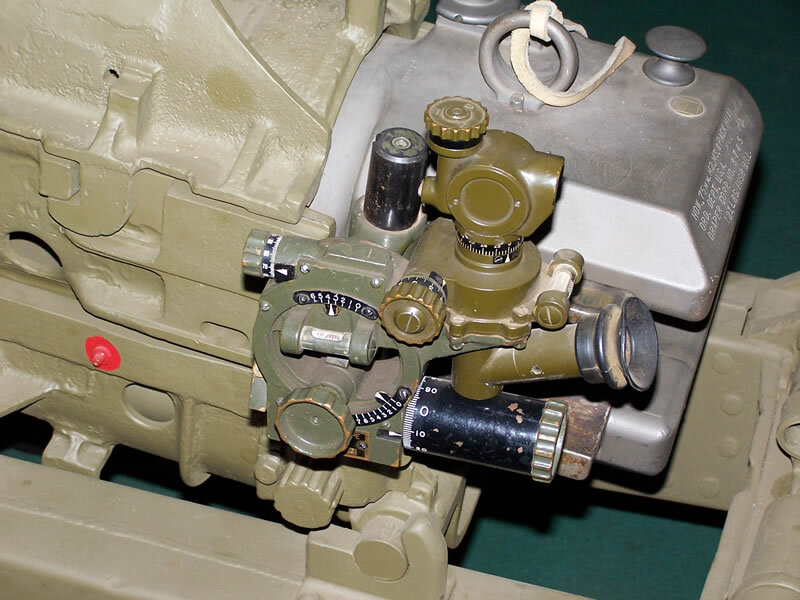 If the links do not work properly, copy the manual names into the search engine. 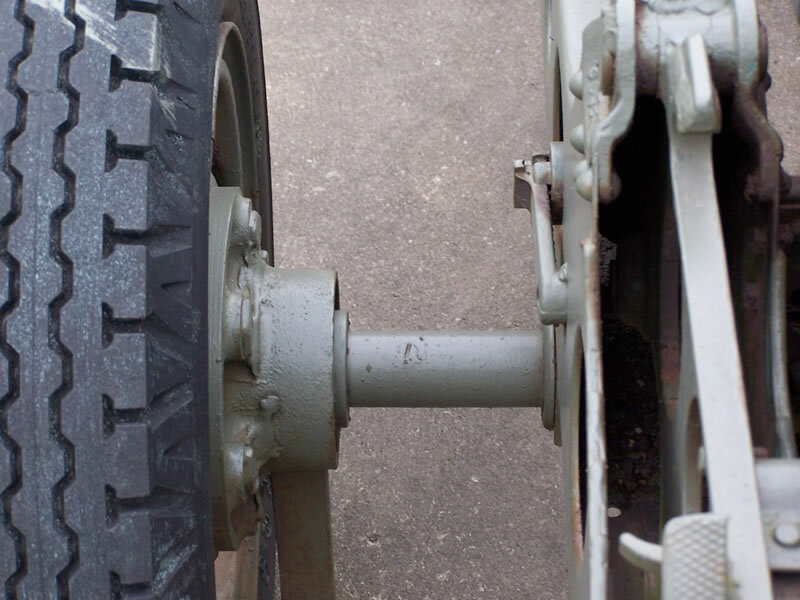 This site can be glitchy at times.